A fellow by the name of J V M Kean had developed a timber export business, and of course obtained payments in overseas currency. 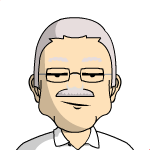 Apparently annoyed at the official exchange rate he was given, he started to look around for a more profitable alternative. 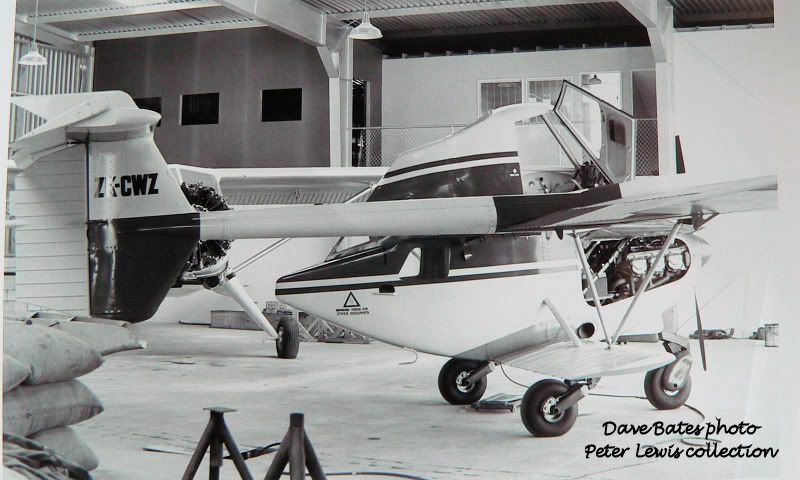 Somehow, he got hooked into the aircraft market and came up with the idea of using this overseas currency to buy and import aircraft into New Zealand, and then lease the aircraft out to operators. The PL-12 Airtruk turned out to be his aircraft of choice. . . . The only other aviation activity I can find for J V M Kean was an abortive attempt to bring a Twin Comanche into the country in 1970. This was intended to become ZK-DBB, but never arrived. I have now acquired some more information on the aviation activities of Vince Kean, and have posted them on another thread to save diverting this one. 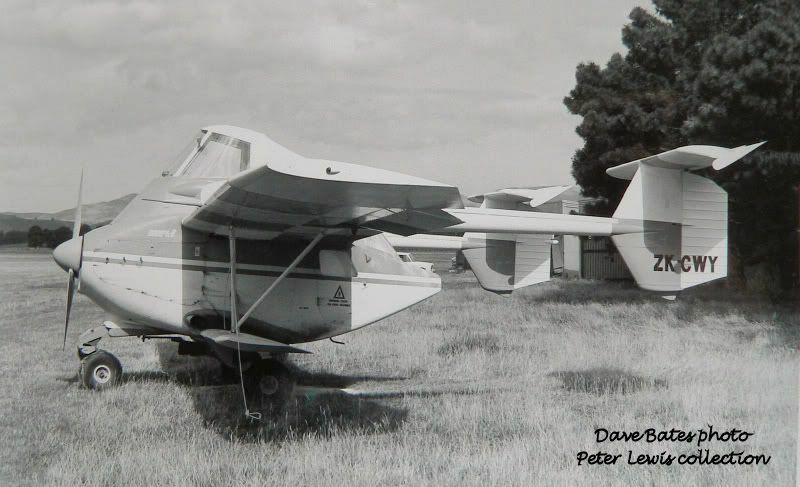 Gidday Marcus, thanks very much for the leads on the South African Airtruks it makes very interesting reading and hopefully I'll now be able to find out a little more on the types activity there. Wrote to George Orsmond but he doesn't have any idea what happened to the aircraft as they sold it many years ago so will keep hunting and let you know. As for ZK-ELL, as far as I know it was in storage with James Ross up until a couple of years ago when it was let go to an Australia interest. So sadly I think it may have crossed the Tasman as well. 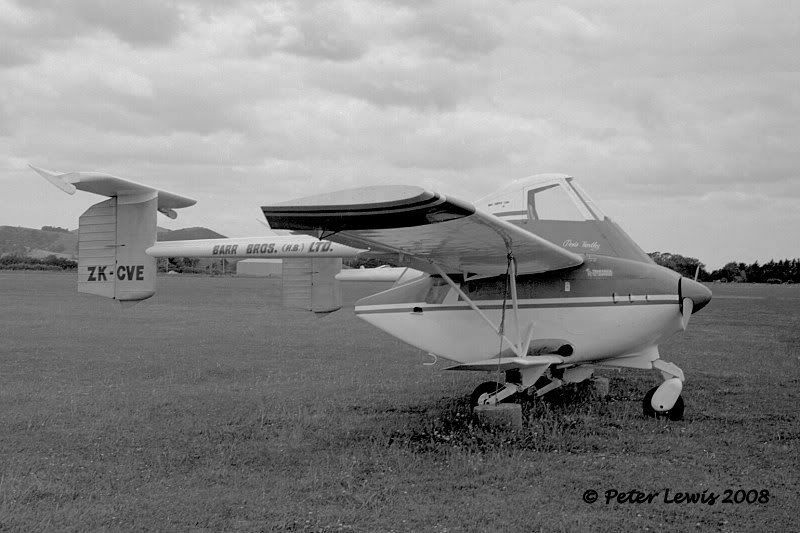 Not sure but have a feeling that it may have gone to Jones Air who operate PL-12's still in Tasmania. Have a look at the following thread again. There has been several postings since I last refered to it. You will get a lot more info on the SA PL-12's there now. Just as with the Bristol freighter I am finding this thread fascinating. Thought I might work through the listings. 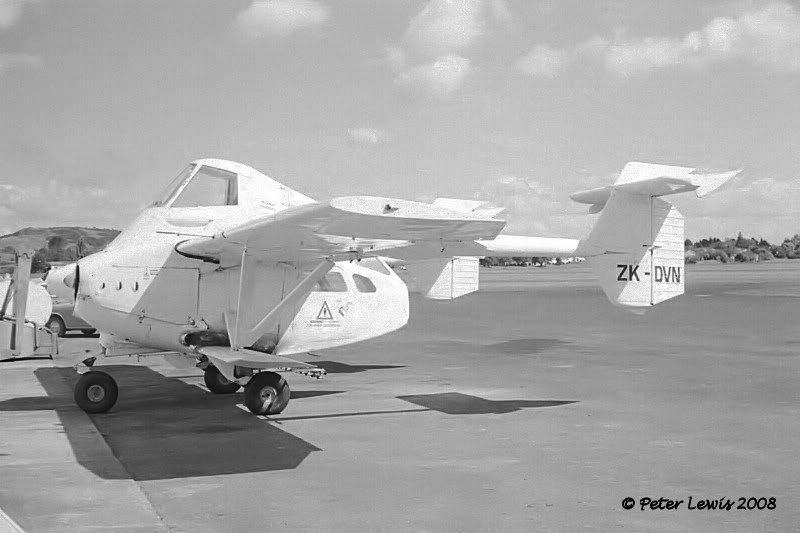 I don't have photos of ZK-CWW (Central Aviation/Air Contracts) ZK-CWY (Barr/Air Contracts) ZK-CWZ (Air Contracts) ZK-DMY (Barr) ZK-DNB (Barr HB), so if anyone can supply any of those photographs that would help completion. ZK-CTT c/n 602 ex VH-TRZ was covered at the start of this thread. 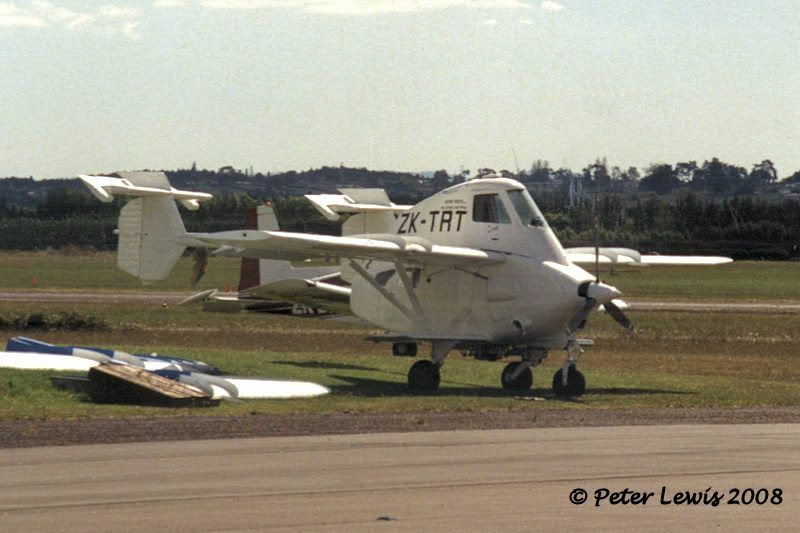 It was briefly flown in NZ as VH-TRZ. 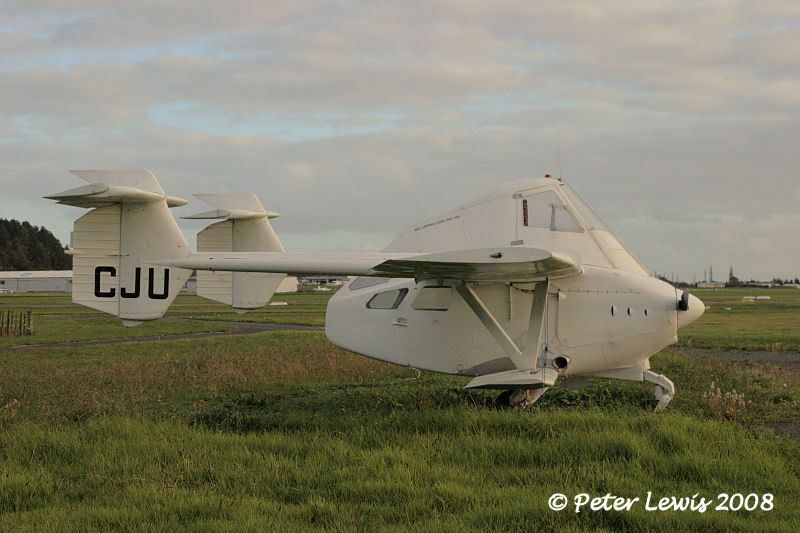 Despite having three owners listed - J V M Kean, Auckland/Transavia Leasing Co.Ltd., Auckland/Barr Bros Ltd., Ardmore - it was only operated by Barr until it crashed on t/off Clevedon 13Dec76. Pilot I Stewart. ZK-CVA c/n 705 was registered initially to Transavia Leasing Co.Ltd. and leased to Barr Bros from mid-1967 until going to Air Contracts (1969) Ltd., Masterton in mid-1974. 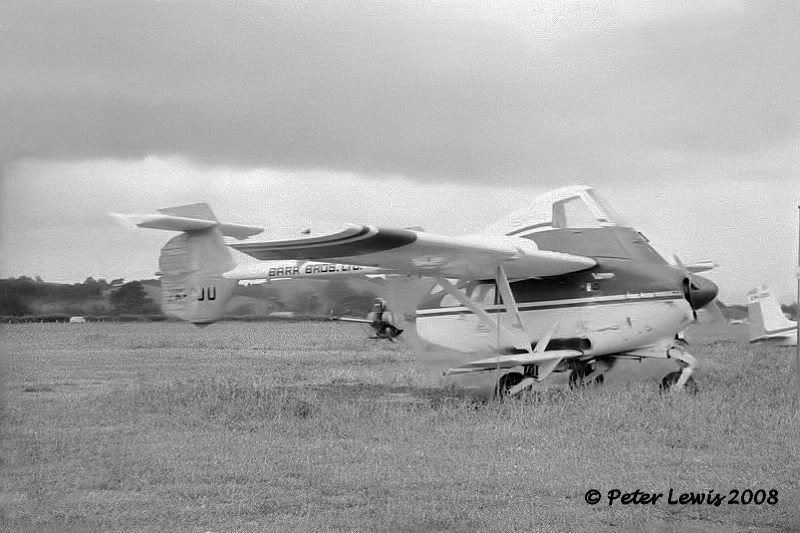 They kept it until late 1979 when ownership passed to Broadlands Finance Ltd., New Plymouth who hired it to Farmers Aviation. 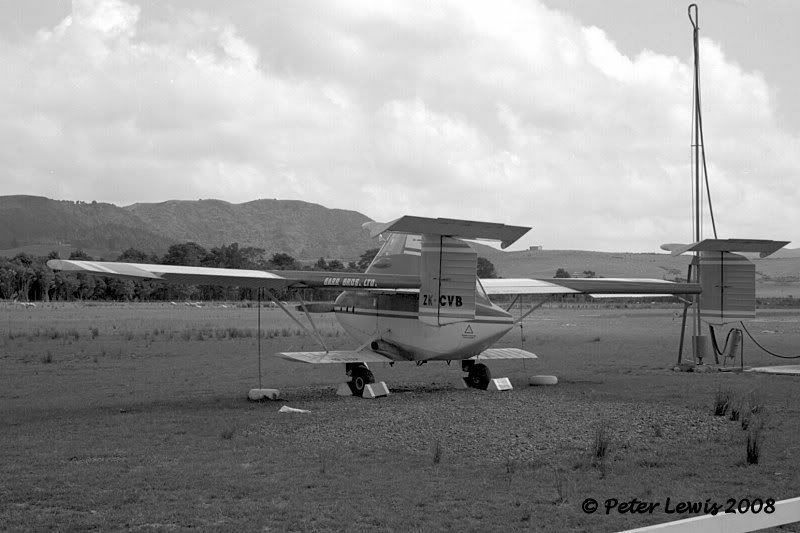 The lease term was for 12 months, and Farmers Aviation then bought it outright. 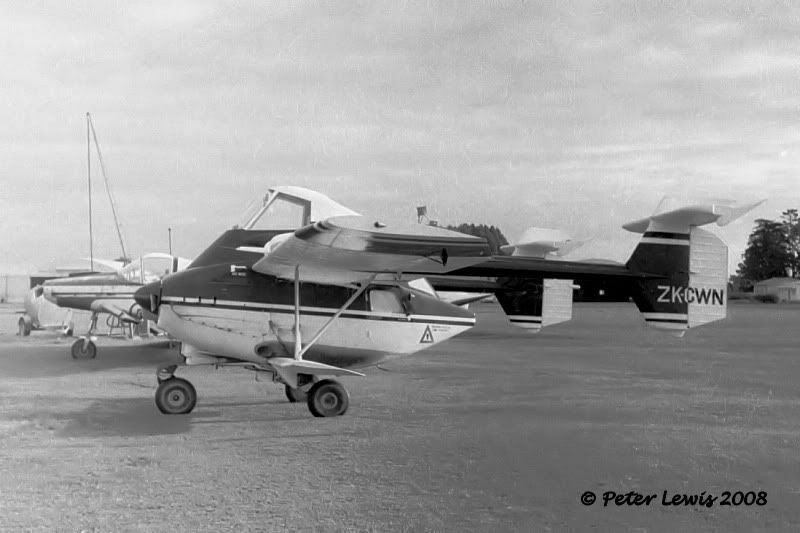 However the aircraft only survived for less than a further year being DBF in a hangar fire at Hawera 6Sep81. 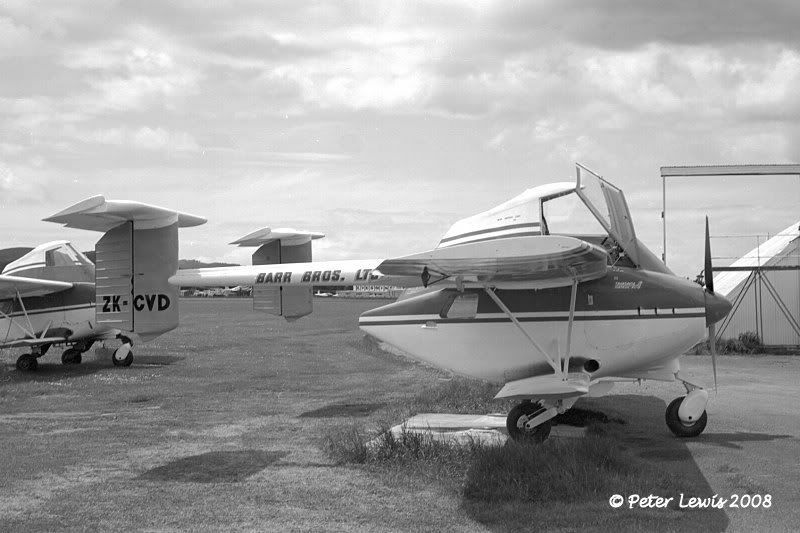 ZK-CVB c/n 706 was also registered to Transavia Leasing with hire to Barr Bros. from August 1967. 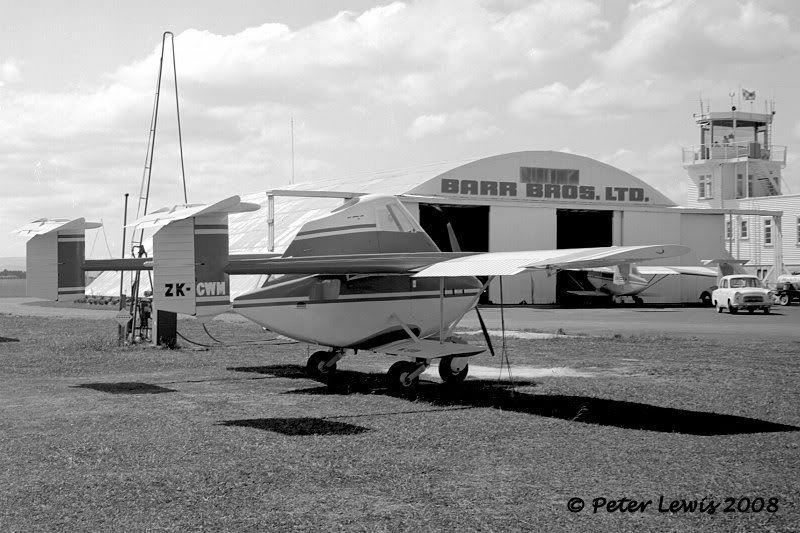 When the lease expired in 1969, Barr bought the aircraft. It survived longer than most, with its last flight 6Mar82. 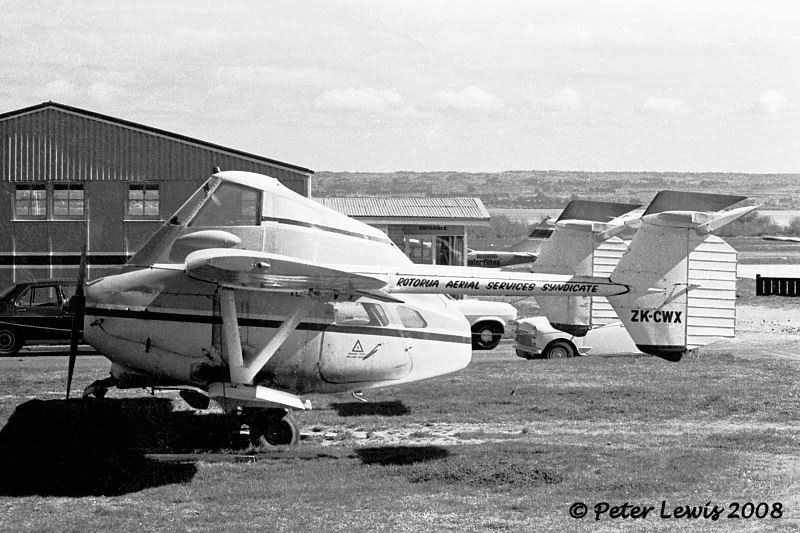 WFU at Ardmore - to MoTAT (painted as ZK-DMX) then as ZK-CVB. 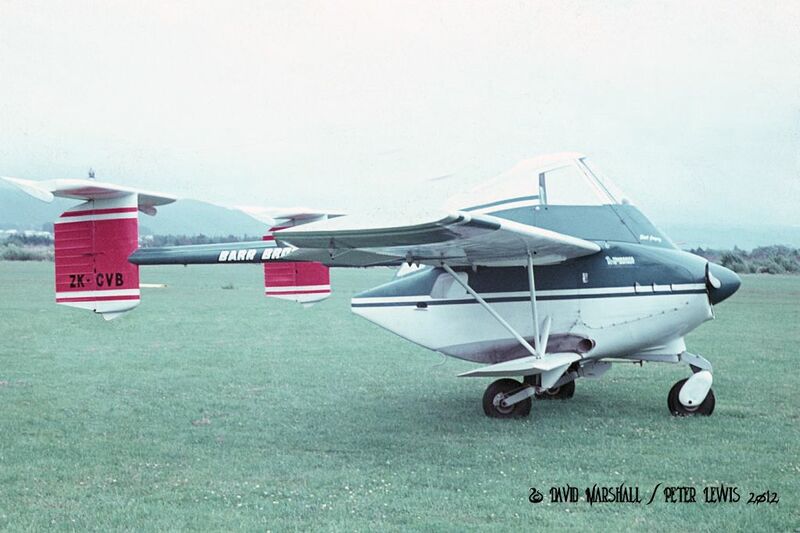 (This last image is interesting, showing two TATCo Fletchers ZK-BIV and ZK-BWV plus James Fletcher ZK-BYC in the backgound). Brilliant pics Peter....... .The fruits of your misspent youth are much appreciated. 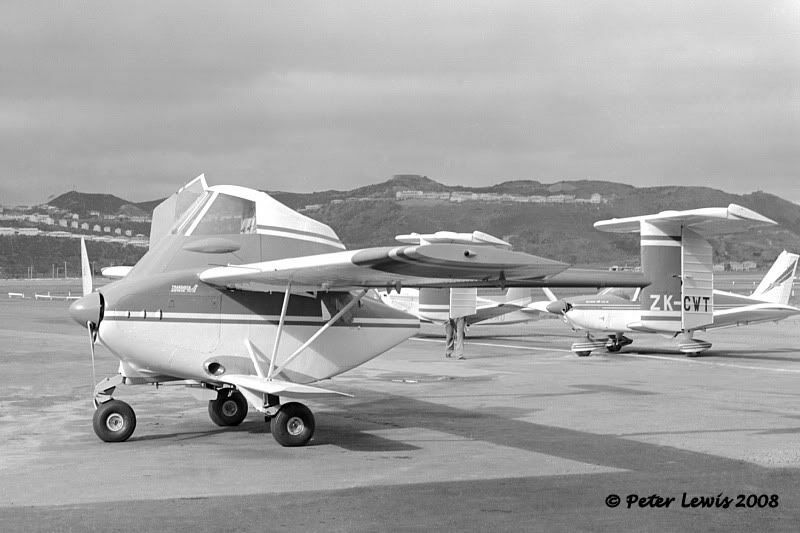 PL-12 Airtruk ZK-CVC c/n 707, registered to Transavia Leasing September 1967 and leased to Barr Bros. Returned to Transfield (NZ) Ltd., Auckland at the end of 1970. 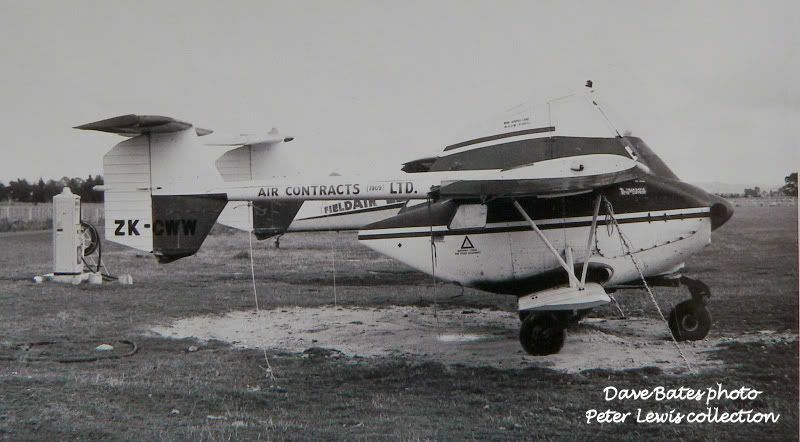 Sold to Air Contracts (1969) Ltd., Masterton in October 1972 (possibly leased to them prior?). 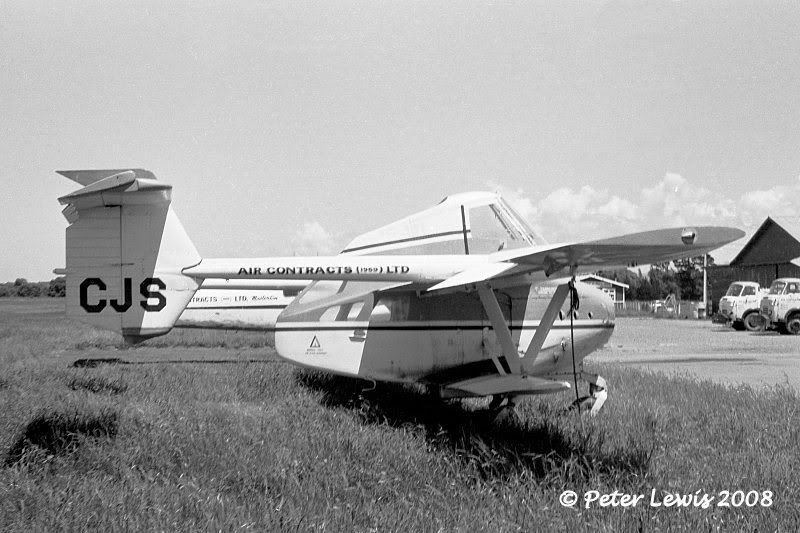 Was registered to Air Services (1979) Ltd., Masterton in August 1980 as part of the merger between Air Contracts and Air Services, but probably not operated by them as the aircraft was WFU at Masterton about that time and my last photograph of it parked up at Hood shows the Air Contracts logo still visible. Registration cancelled 231008. 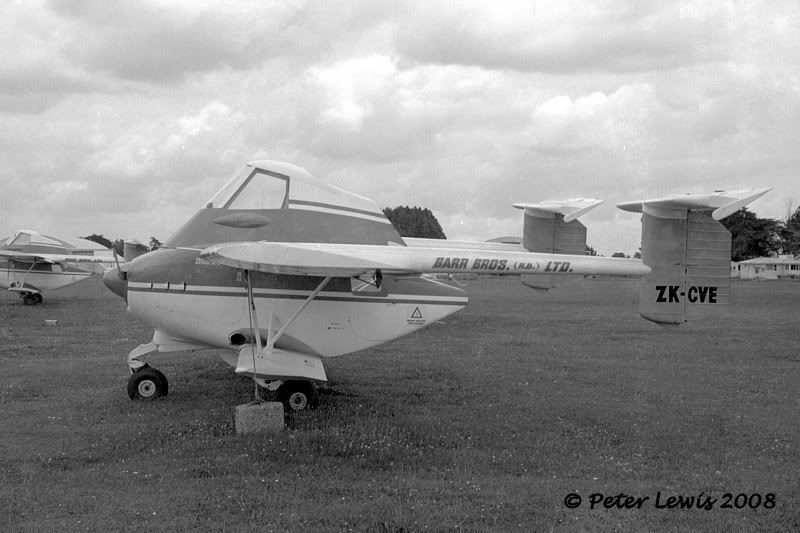 ZK-CVE c/n 709 Registered to Transavia Leasing October 1967, lease to Barr Bros. Painted up as Barr Bros (H.B.) Ltd. and operated out of Waipukerau. Cr & DBF near Tukituki River, HB, 13May68. Pilot Dennis Hartley. (I believe this was the crash in which Dennis Hartley was saved from serious burns because he was wearing an pure woollen jersey knitted for him by his wife). ZK-CWM c/n 711 Transavia Leasing February 1968, lease to Barr Bros. Sold Barr Bros October 1969. 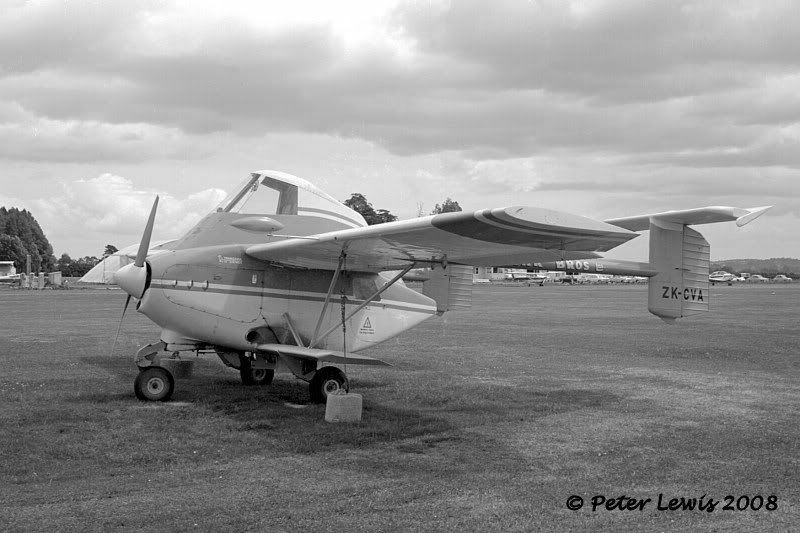 WFU at Ardmore 2February1977 for rebuild as PL-12/T320 and restored as such June 1977 to Barr Bros Ltd., Ardmore. 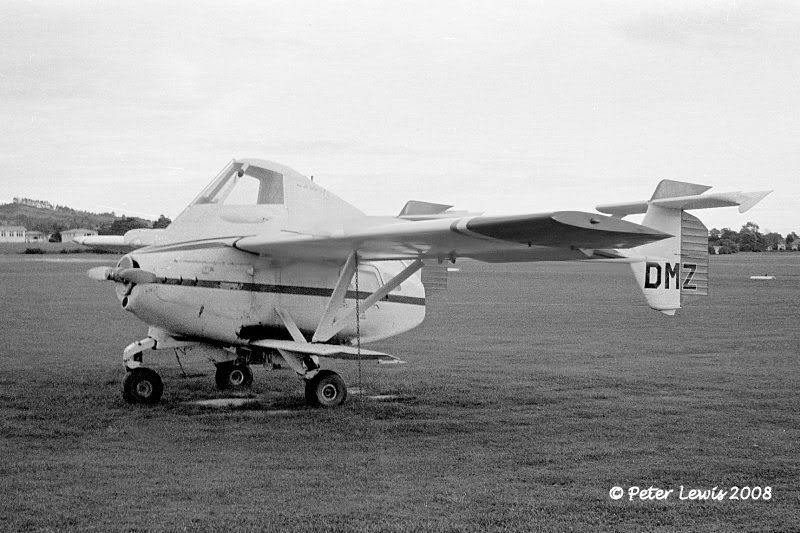 Was this the Transavia PL-12/T320 Tiara prototype? Ownership change to Transfield (NZ) Ltd., Auckland June 1980 and reconverted to PL-12 30July1980. Finally WFU at Ardmore 15Apr81. Includes a bonus view of the Barr Bothers hangar at that time - it's now just the concrete pad where the Warbirds Dakota gets parked. ZK-CWN c/n 812 Registered to Transavia Leasing February 1968, lease to James Aviation Ltd., Hamilton for about one month, then lease to Barr Bros. from April 1968 to October 1969. Sold to Barr Bros. at termination of lease. 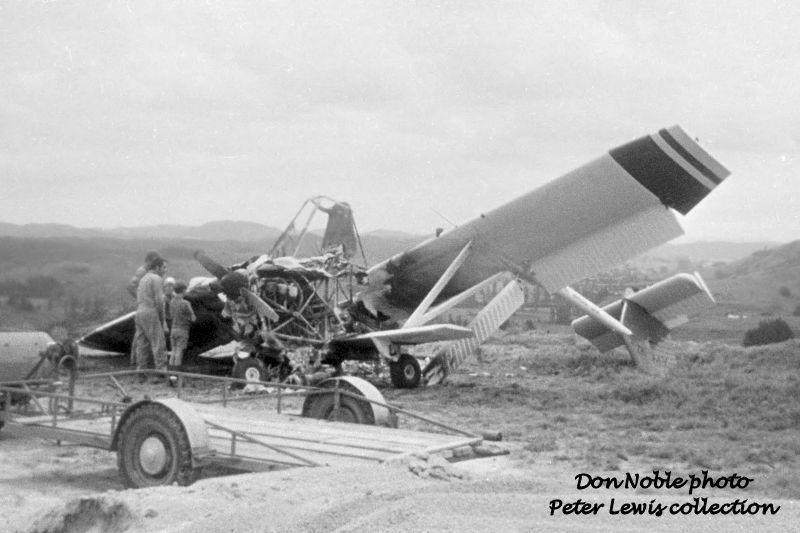 Crashed Wainui, near Waiwera, 23Jun73. There may have been the intention to rebuild as the registration was not cancelled until January 1991. ZK-CWT c/n 812 Transavia Leasing Co.Ltd., Auckland May 1968, lease to Air Contracts Ltd., Masterton - delivered 8June1968. Sold to Dominion Leasing Co.Ltd. November 1969 and leased to Air Contracts (1969) Ltd.
Oddly enough there was a final ownership change to Transfield (NZ) Ltd., Auckland dated 13October1972 but this Airtruk crashed at Masterton 18Oct72. 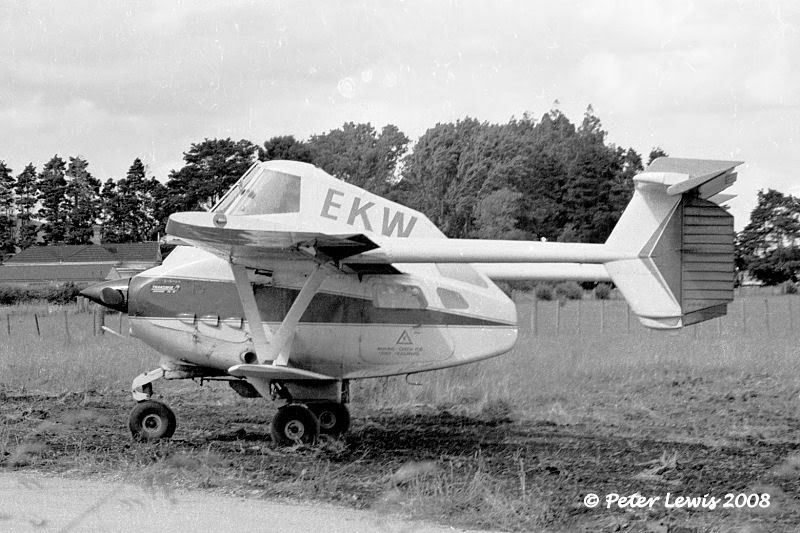 PL-12 ZK-CWU c/n 815 Registered to Transavia Leasing September 1968, lease to Air Contracts, delivered 23Sept1968. Sold Dominion Leasing Co.Ltd. 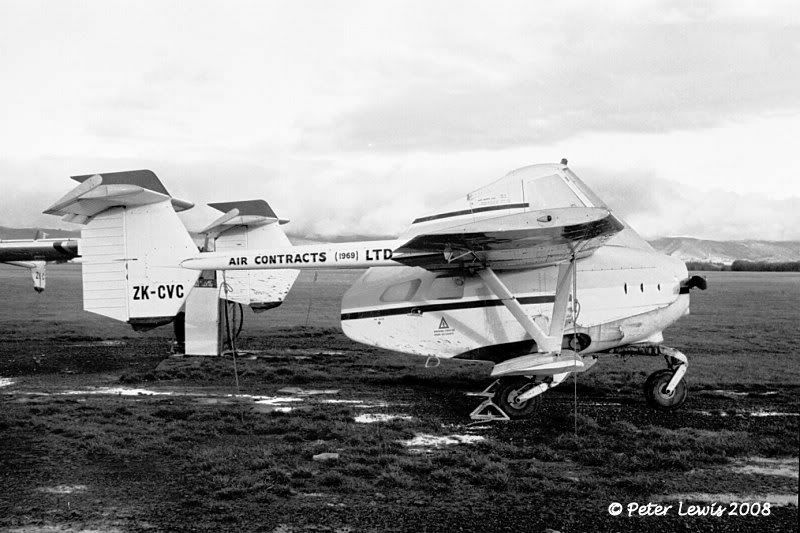 November 1969, lease to Air Contracts (1969) Ltd.
Sold to Transfield (NZ) Ltd., Auckland October 1969, then presumably sold again as there was a sale back to Transfield (NZ) Ltd. in June1975 (anyone clarify this?). 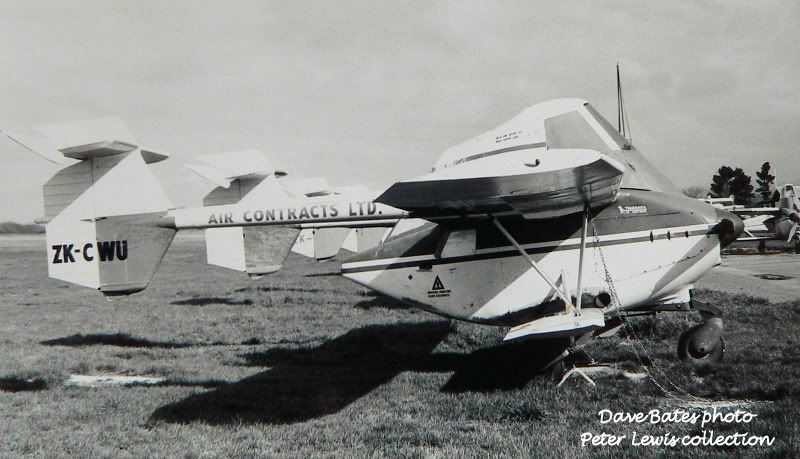 Finally sold to Air Contracts (1969) Ltd. May 1977. 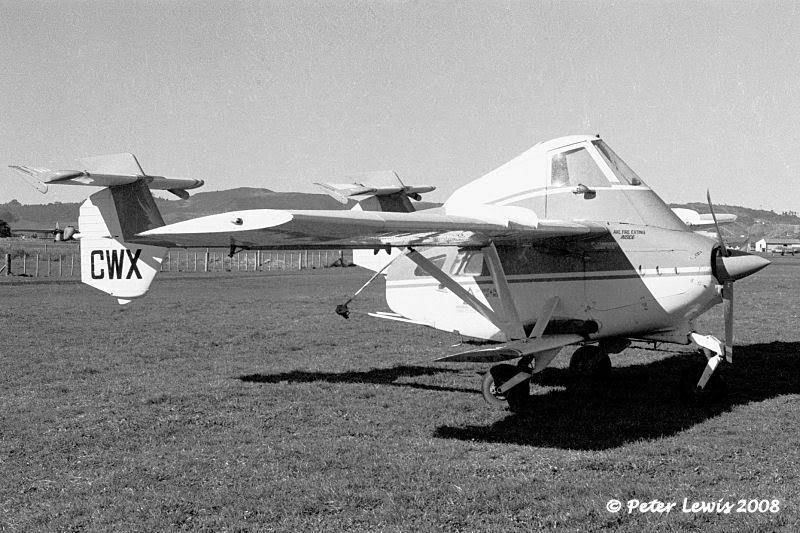 This Airtruk crashed during a forced landing Caledonia Station, 20mls SE Masterton, 28Nov77. 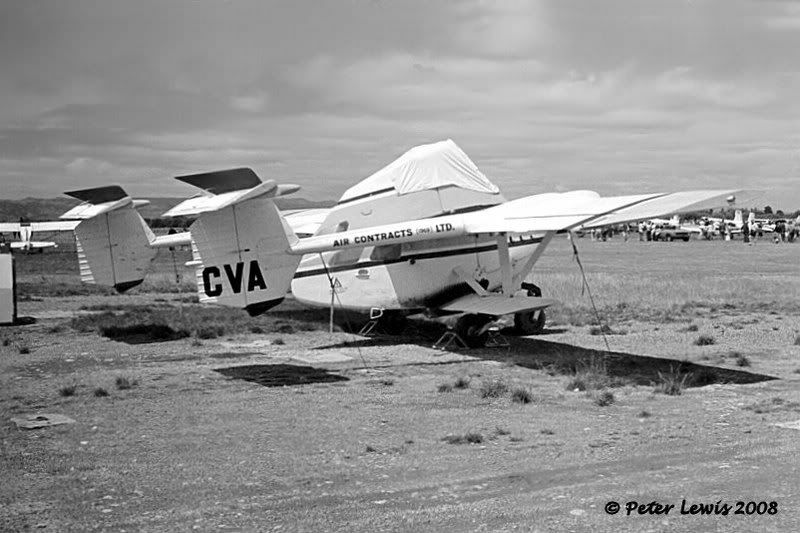 ZK-CWW c/n 816 Registered to Transavia Leasing July 1968, lease to Central Aviation Ltd. Sale to Transfield (NZ) Ltd. December 1970, lease to Air Contracts (1969) Ltd.
Again, presumably a sale to some other owner prior to a sale back to Transfield/Air Contracts in October 1972. 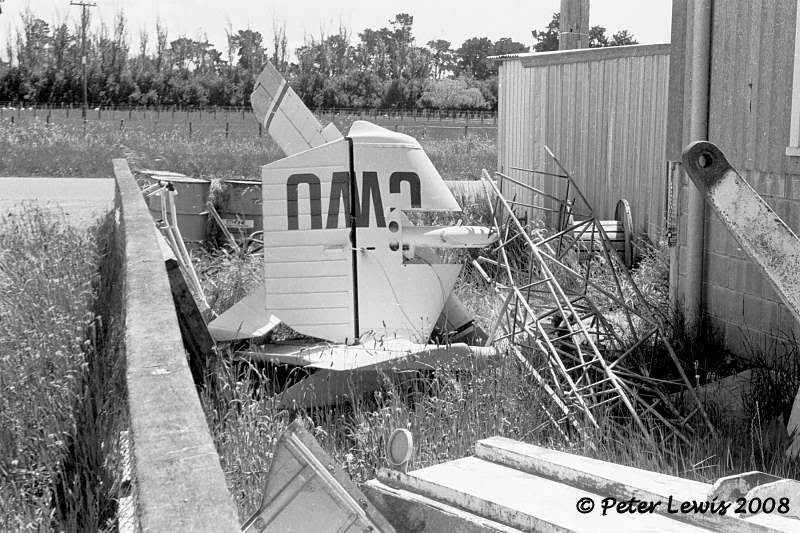 Finally crashed Ngaumu, Masterton, 3Oct74. 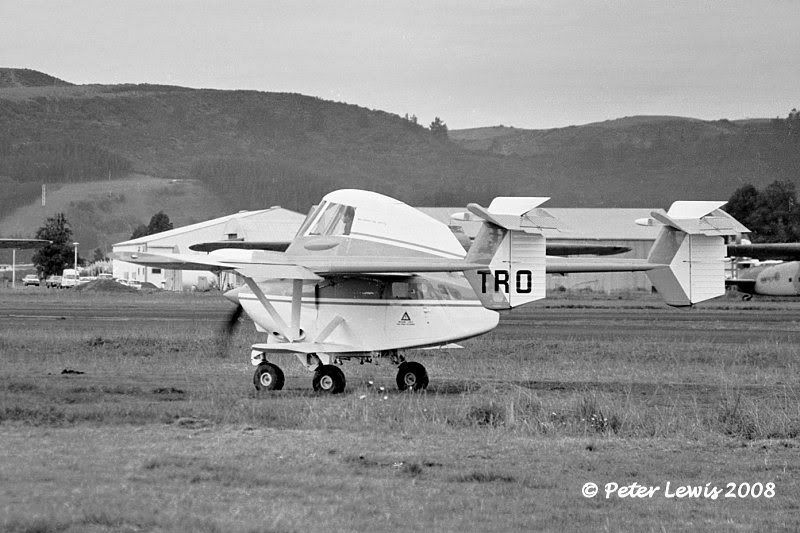 ZK-CWX c/n 818 Registered to Transavia Leasing September 1968, lease to Barr Bros Ltd., then a sale to Transfield (NZ) Ltd. in December 1970 with a lease to Rotorua Aerial Services Syndicate from March71. 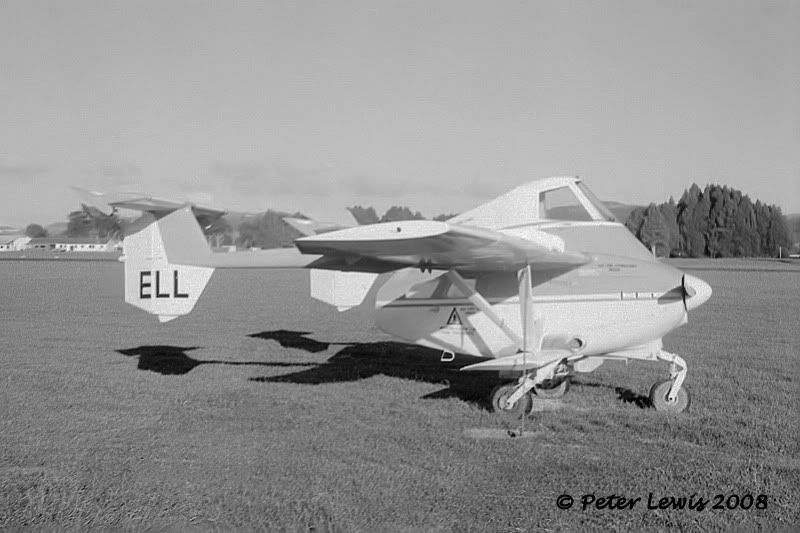 Rotorua Aerial Services Syndicate bought the aircraft in April 1974, and then sold it back to Transfield in September 1976. Transfield then sold ZK-CWX into Australia, with owner D Durham, Georges Plains, NSW registering it as VH-HSB in December 1988. 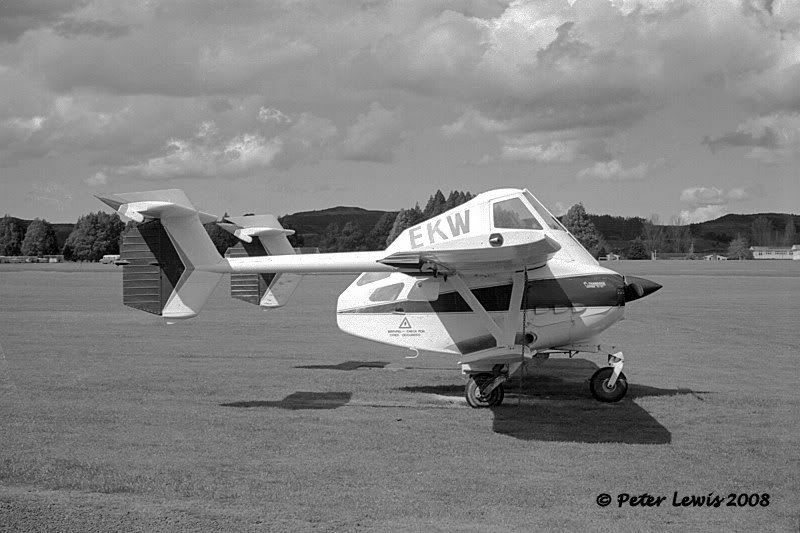 The CWZ Glider towing photos are at Ardmore. 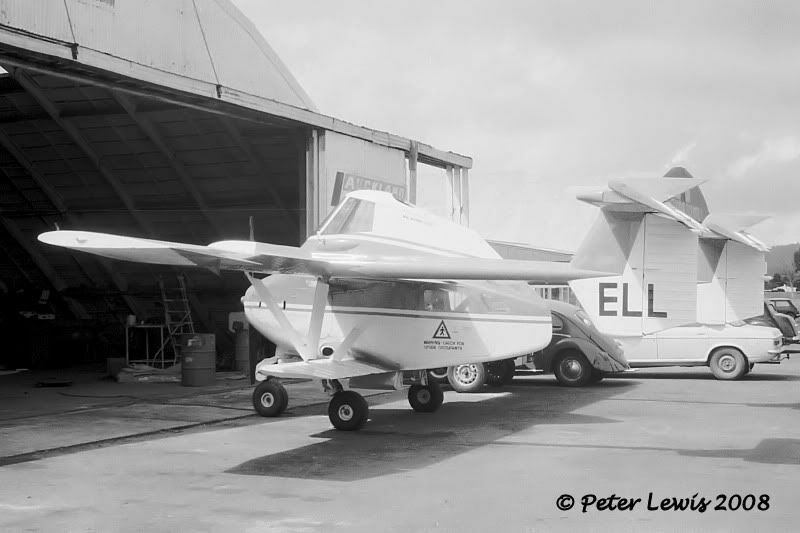 The first is outside the Flight Engineers Hangar (Later CityJet Engineering...) In the Background are a Bristol Freighter (one of Dwens) and Heron BBM to the right, based on those aircraft the date would be mid 1980s? Yes you'd be right there Bruce. 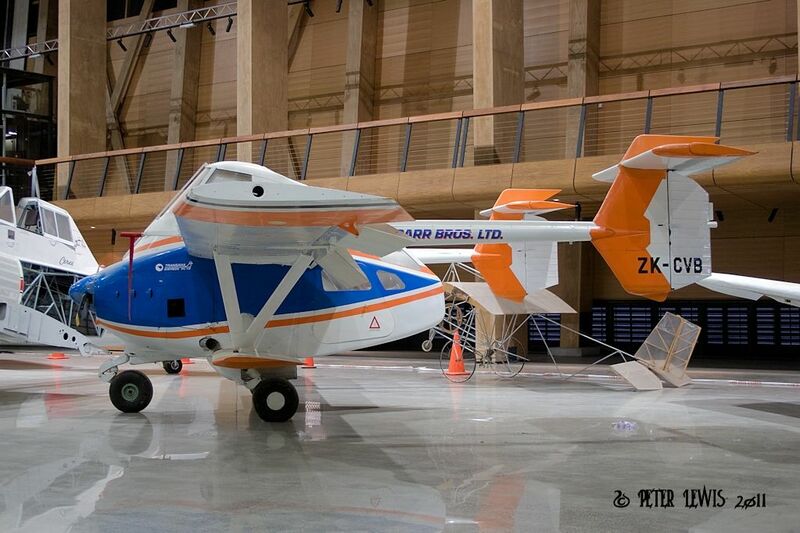 If you look at the second photo of ZK-CWX you can see the glider tow gear affixed to the rear of the fuselage. Looks like a 3-bladed prop there as well. 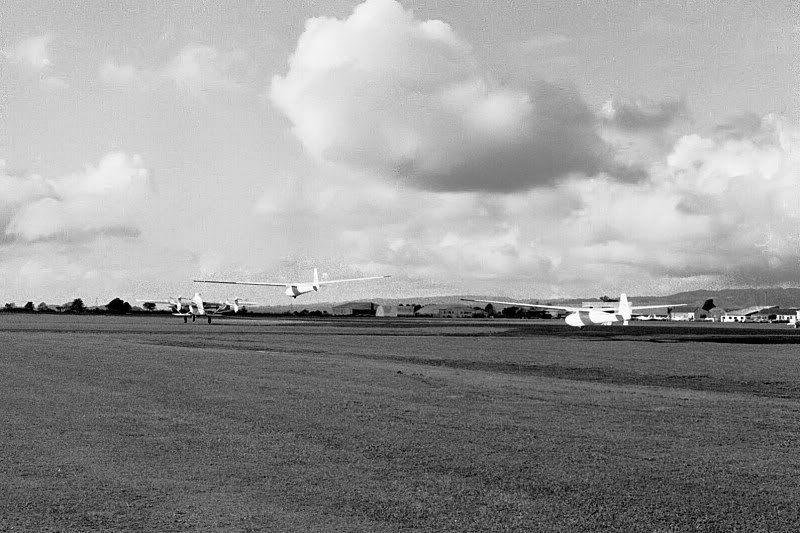 I reckon these photos would have been taken at some sort of test flight, as gliders had moved from Ardmore to Drury well before this time. I honestly do not remember this event, although obviously I was there to take the photos! Timing would have been after it's Rotorua sojourn. Come on the mighty Rams... go King Country! Fascinating thread this one... 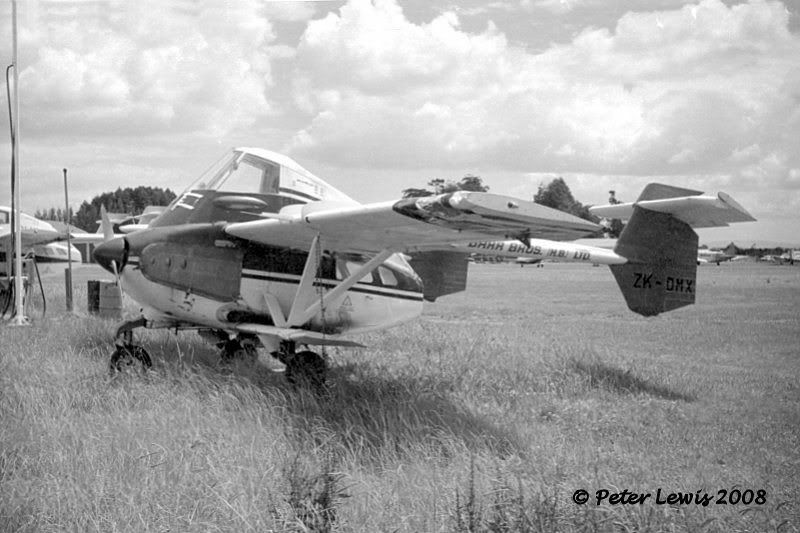 I was most interested to hear that VH-JSO was ZK-DVN and ZK-ERO and spent a lot of her time in New Zealand. 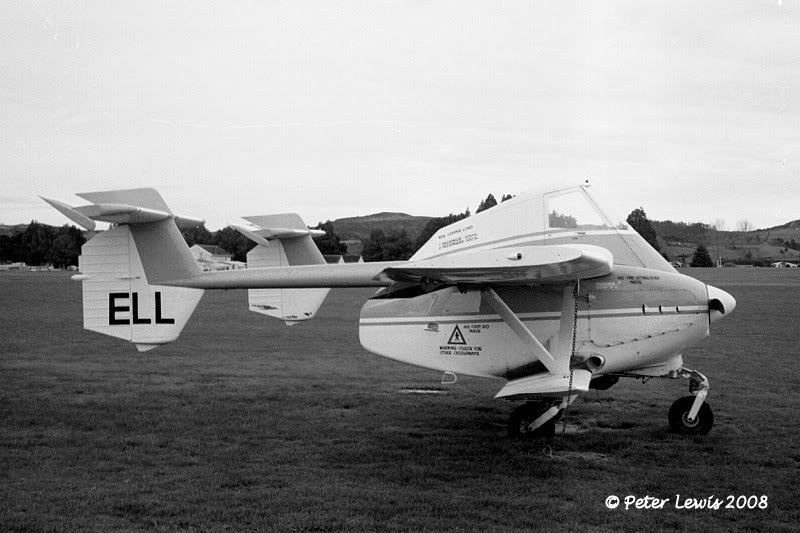 My father was unfortunately in her back spreading in Northern Tasmania in 1991 when the hartzell prop threw a blade and took the engine with it! With a full load he was only able to roll it into a potato paddock and was injured, but credit to the design, it did take a lot of punishment. The booms and wings were all crumpled, yet the cockpit was more or less still structurally intact. 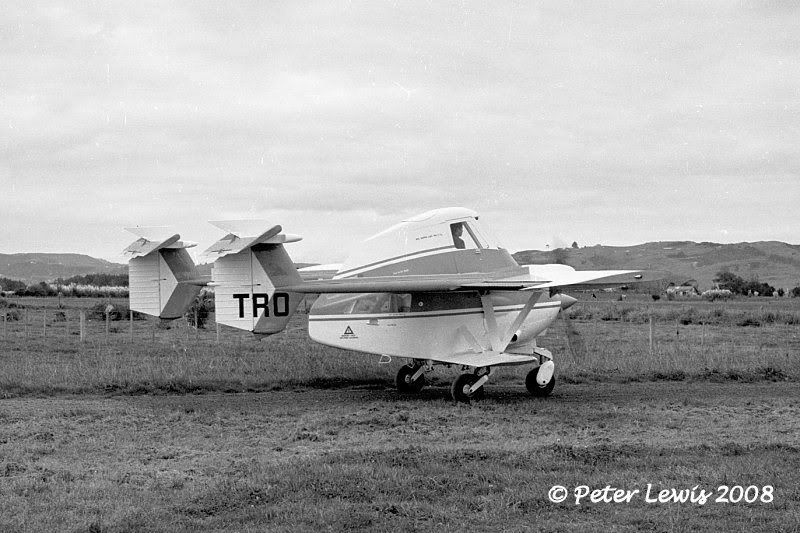 ZK-CWY c/n 819 First flight in NZ 23Sep68, registered to Transavia Leasing September 1968, lease to Barr Bros. Sold to Dominion Leasing Co.Ltd. 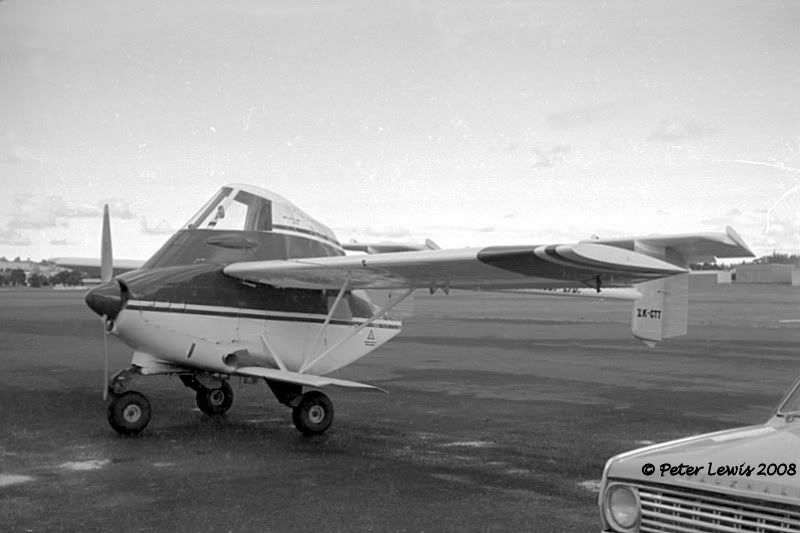 November 1969, lease to Air Contracts (1969) Ltd.
ZK-CWZ c/n 820 Registered to Transavia Leasing Co.Ltd., Auckland November 1968, lease to Air Contracts Ltd. Crashed into truck Te Rapa, Hamilton, 13Jun69. Pilot Fred Myers. 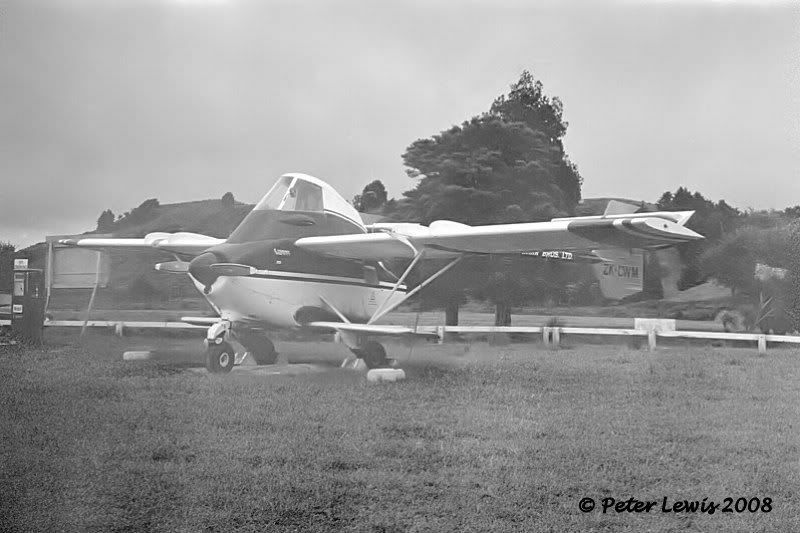 (I believe that this aircraft was doing a demo at the 1969 Fieldays when the accident happened - in full public view. 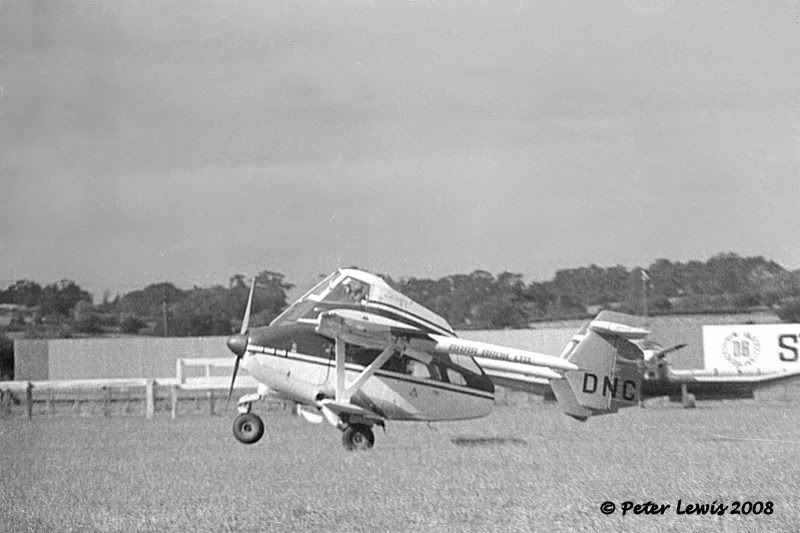 There should be something in the Waikato newspapers from that date about the accident - hint!). 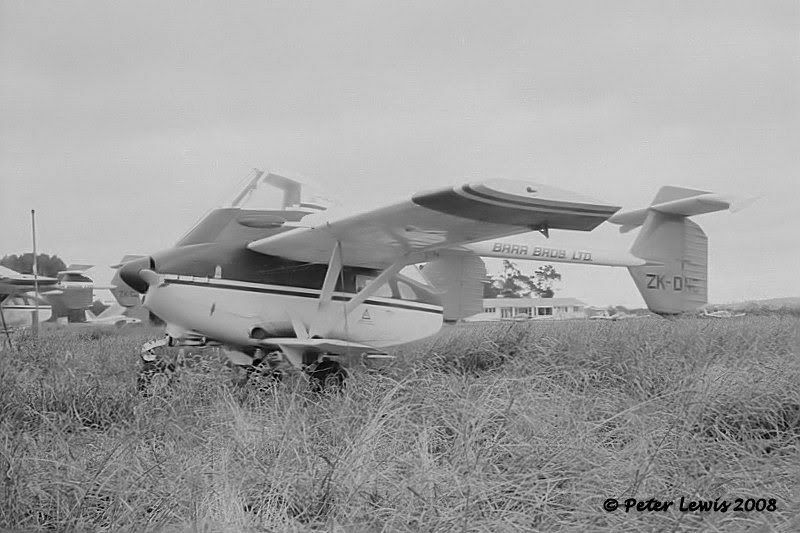 ZK-CJQ c/n 926 Registered to Transfield (NZ) Ltd., Auckland September 1969. Sold to Dominion Leasing Corp.Ltd., Auckland November 1969 and leased to Air Contracts (1969) Ltd. (Looks like Transavia Leasing were out of the picture by then). Sale back to Transfield (NZ) Ltd. October 1972, and the sold outright to Air Contracts (1969) Ltd., Masterton in November. 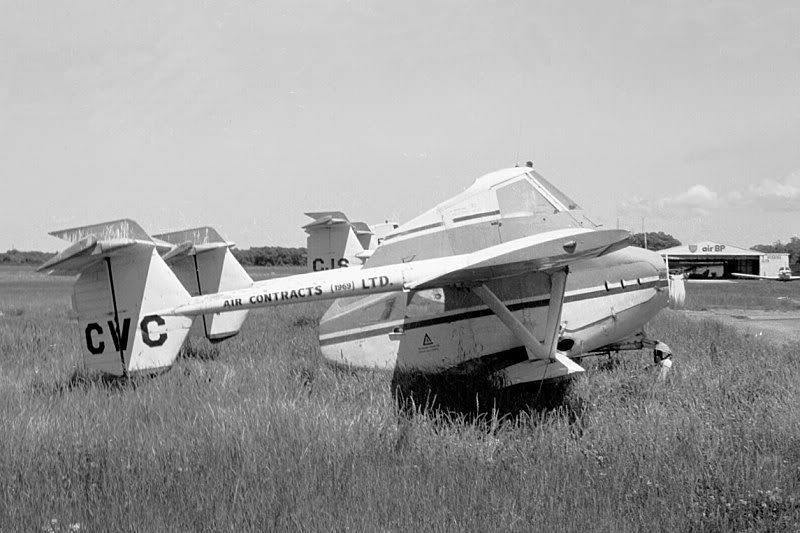 This Airtruk crashed at Mataniwi, near Masterton, 27Jul76. ZK-CJT c/n 932 This Airtruk wa initially registered to Transavia Corp. Pty., Sydney as VH-KLS in October 1970 before coming to NZ as ZK-CJT in 1972, with a first flight in NZ date of 24th November. 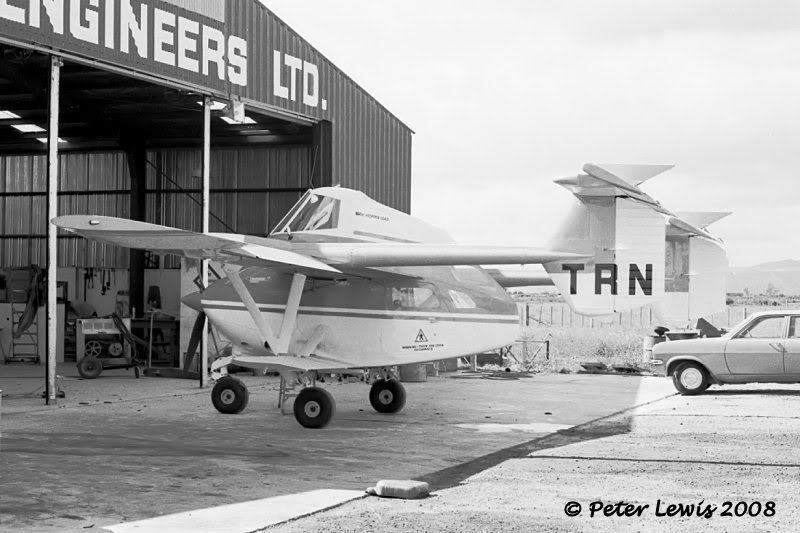 Transfield (NZ) Ltd., Auckland were the first owners, who sold the PL-12 to James Aviation Ltd., Hamilton in June 1974. They owned the aircraft only briefly, and transferred it back to Transfield in July. 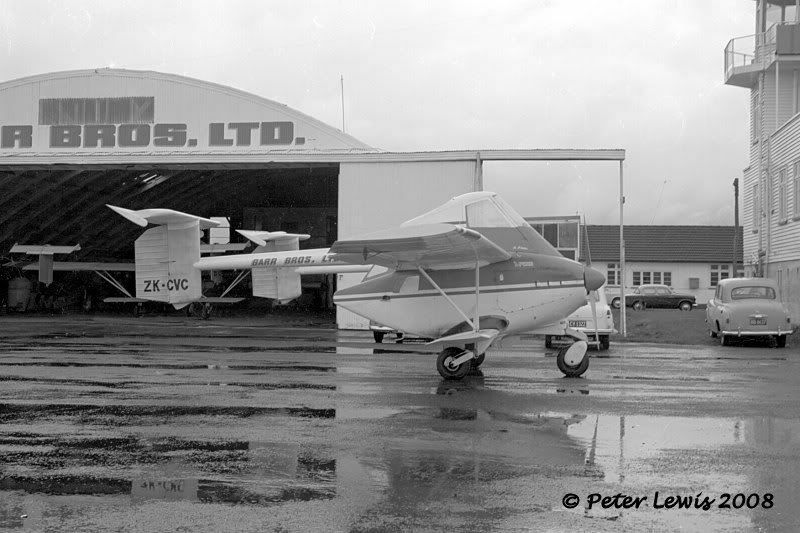 Air Contracts (1969) Ltd., Masterton bought ZK-CJT in August 1976, but it went back to Transfield in June 1980. 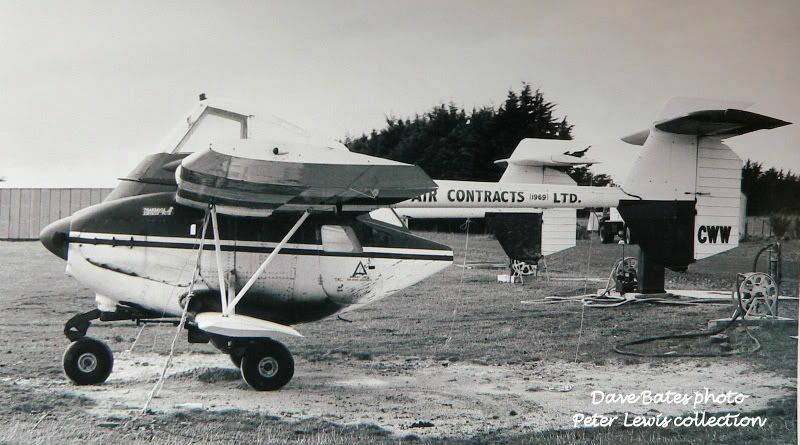 The final owner was D L Hart, Waimate who operated it as Skyfarmer Aviation Ltd. 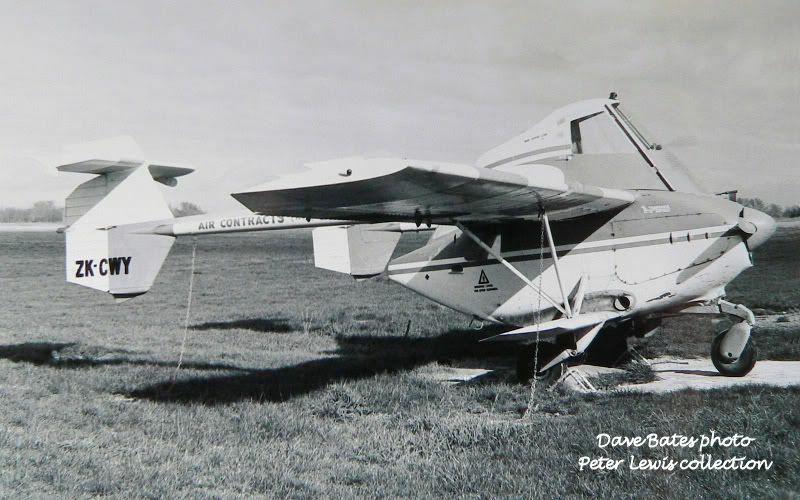 The aircraft was destroyed when the tail hit power lines while spraying, and crashed at Willowbridge, near Waimate, 20Oct85. Pilot Coloman Bolger. PL-12 ZK-DMX c/n G352 (what does the 'G' prefix signify?) 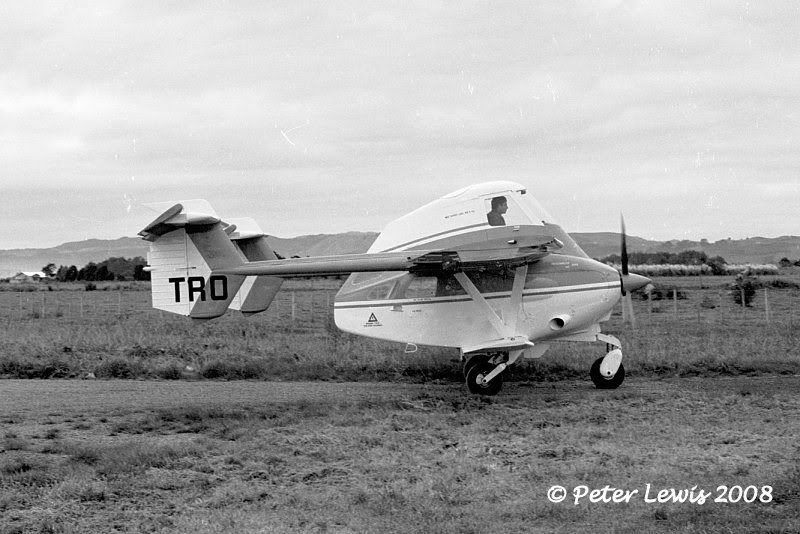 Registered to Transfield (NZ) Ltd., Auckland June 1973, first flight in NZ 14October. 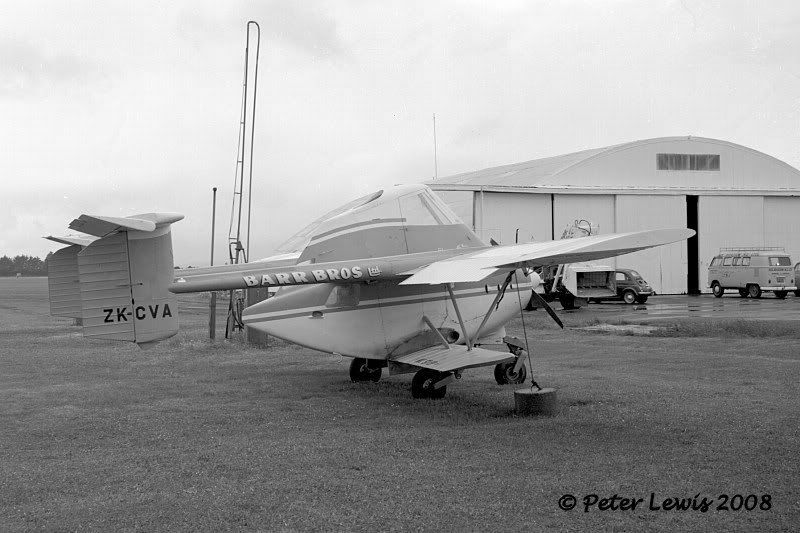 Sold to Barr Aircraft Equipment Ltd., Waipukerau October 1975, flown as Barr Bros (H.B.) Ltd.
Last flight 4Jun83. WFU at Ardmore, to Ferrymead Museum, Christchurch. Ardmore 13November1977 - check out that port wing! ZK-DMY c/n G354 Registered to Transfield (NZ) Ltd., Auckland October 1973, lease to Barr Bros.
ZK-DMZ c/n G356 Registered to Transfield (NZ) Ltd., Auckland October 1973. 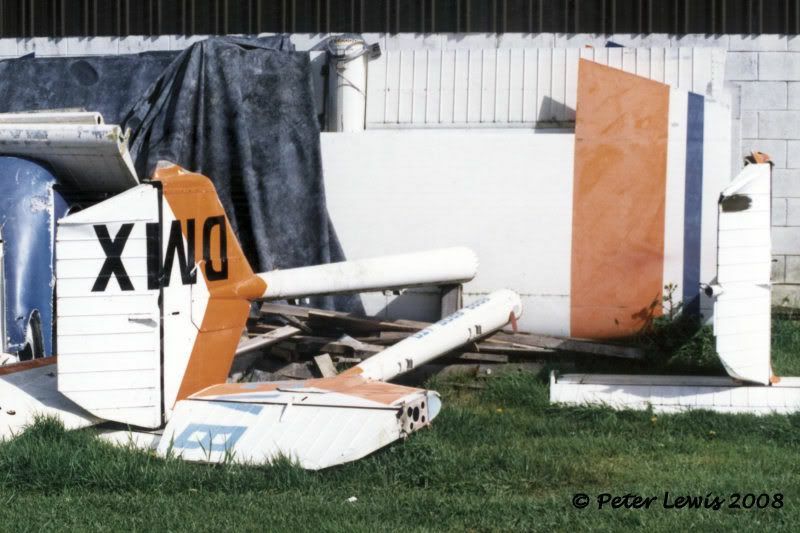 Crashed Pukenui, Ashley Clinton, 6May74. Pilot Graeme Brough. 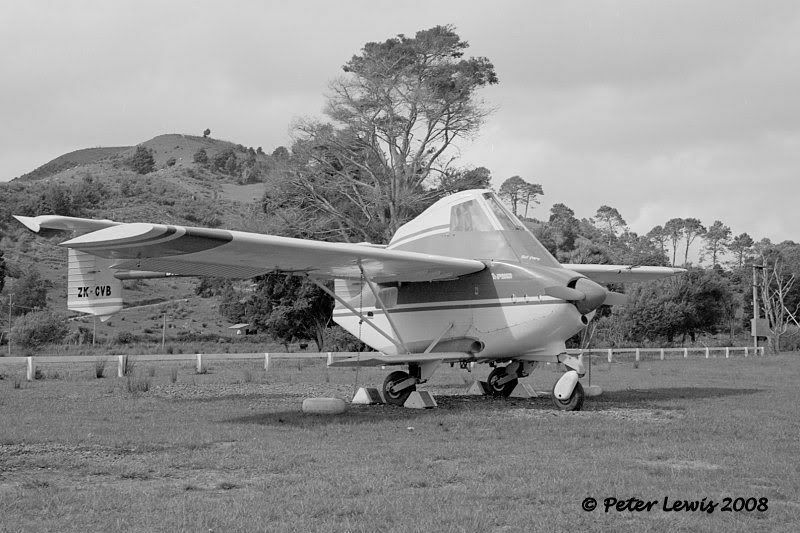 Restored, sold to Barr Aircraft Equipment Ltd., Waipukerau May 1975. Sold D L Hart, Ashburton (operating as Skyfarmers) December 1989. Damaged on t/off accident, WFU - on loan to Ashburton Aviation Museum. 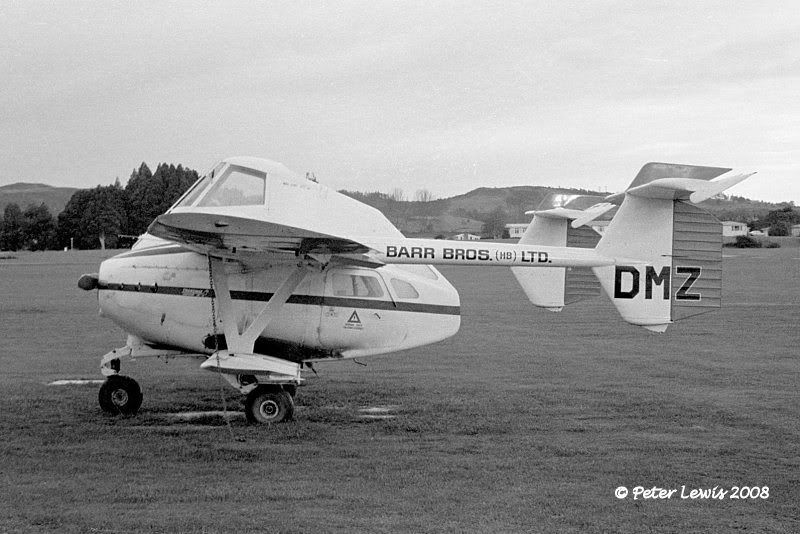 ZK-DNB c/n G361 Registered to Transfield (NZ) Ltd., Auckland December1973. 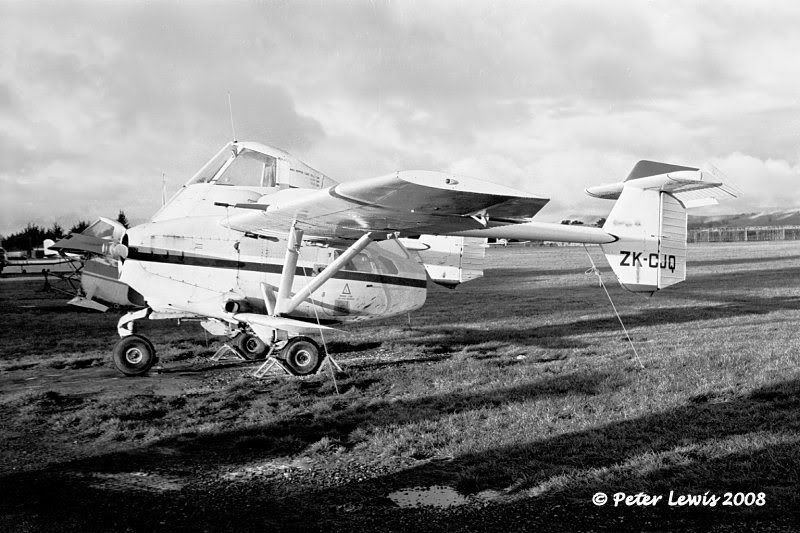 Sold to Barr Aircraft Equipment Ltd., Waipukerau July 1974. Spun in & cr Argyll, sth of Hastings, 16Jul74. (The shortest active life of any of the NZ Airtruks). 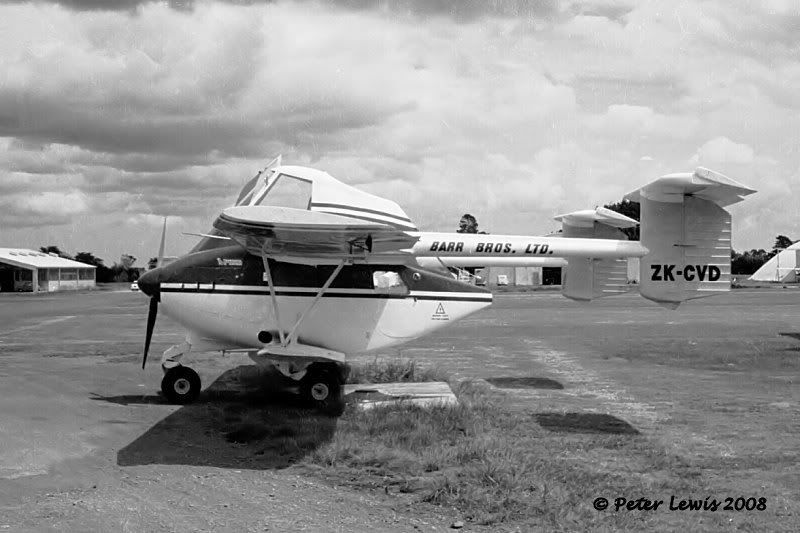 ZK-DNC c/n G363 Registered to Transfield (NZ) Ltd., Auckland June 1974, sold to Barr Aircraft Equipment Ltd., Waipukerau August 1974. There was obviously some interchange between the Auckland and Hawkes Bay Barr organizations, as the following photographs - taken at two different times - show the Barr Bros Auckland name. 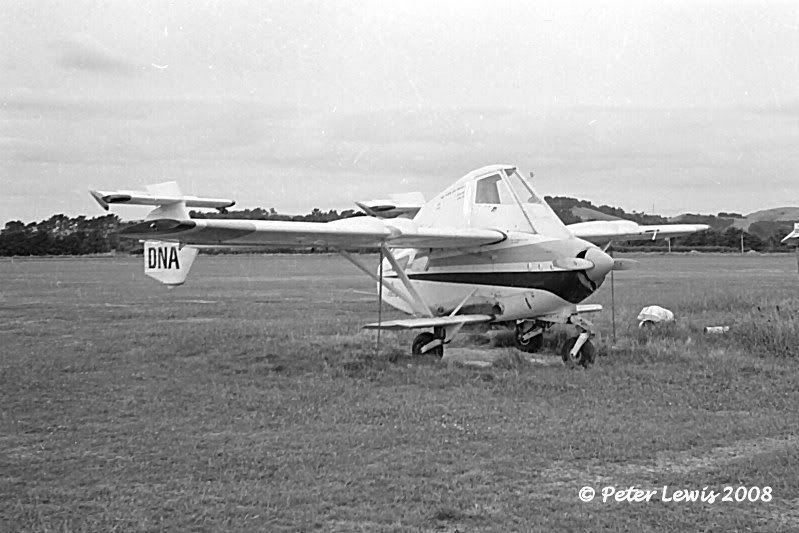 ZK-DNA c/n G459 Registered to Transfield (NZ) Ltd., Auckland November 1973, sold to James Aviation Ltd., Hamilton April 1974 (used in the Northland area). 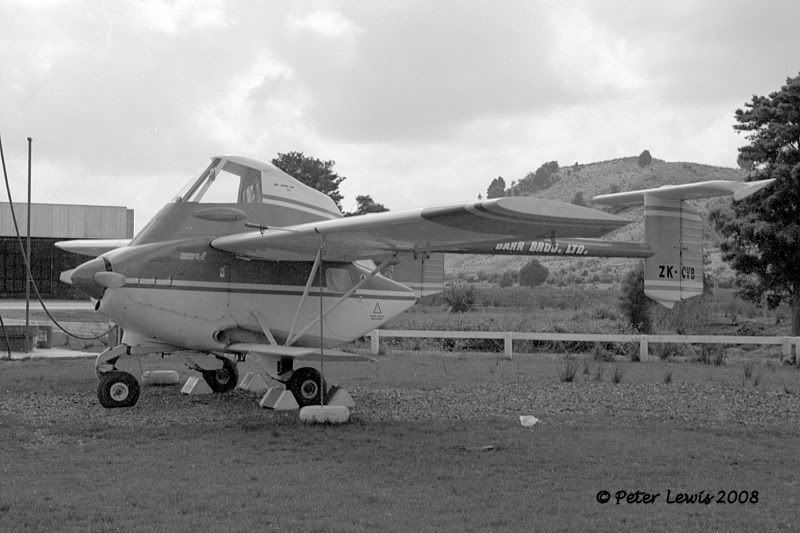 Sold to Barr Aircraft Equipment Ltd., Waipukerau March 1977. 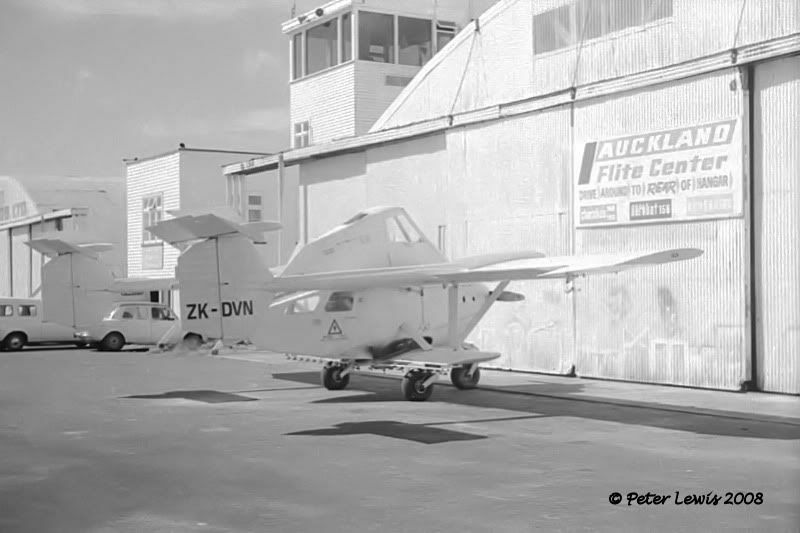 ZK-DVN c/n G467 Registered to Transfield (NZ) Ltd., Auckland July 1974, sold Farmers Aviation Ltd., Hawera September 1975. Sold Barr Bros (HB) Ltd., Dannevirke May 1976, then back to Farmers in September. Sold Transfield (NZ) Ltd. October 1976, then Air Contracts (1969) Ltd., Masterton July 1977. 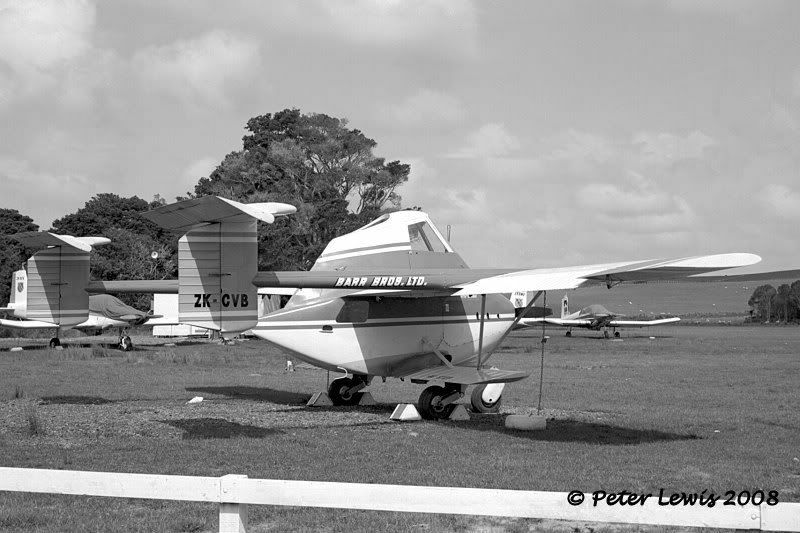 Sold back to Transfield in March 1978, crashed Tirohanga, near Opotiki, 26Jul78. Rebuilt at Auckland by Transfield as ZK-ERO c/n G998 but MOT insisted on original reg so restored as ZK-DVN to Transfield November 1979 and modified to T-300 standard 4December1979. 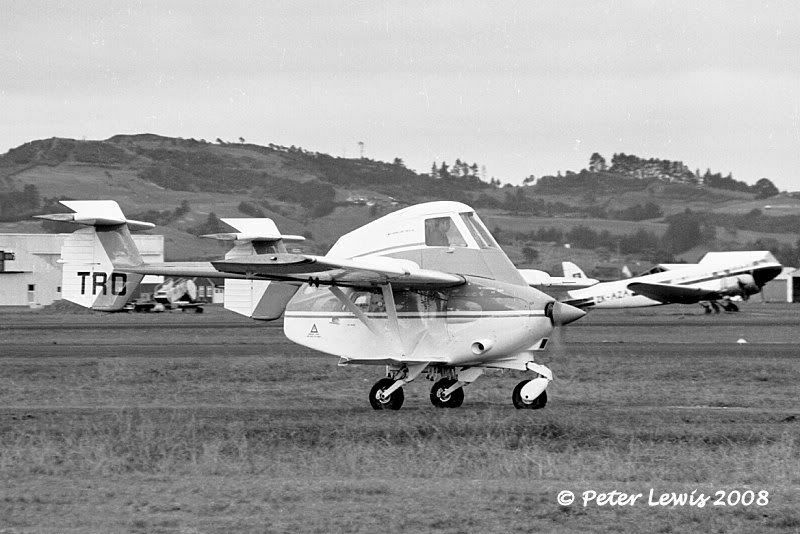 Sold Ross Aviation Ltd., Rotorua July 1983, and back to Transfield March 1988. Sold abroad to Australia, left NZ 27Apr88. 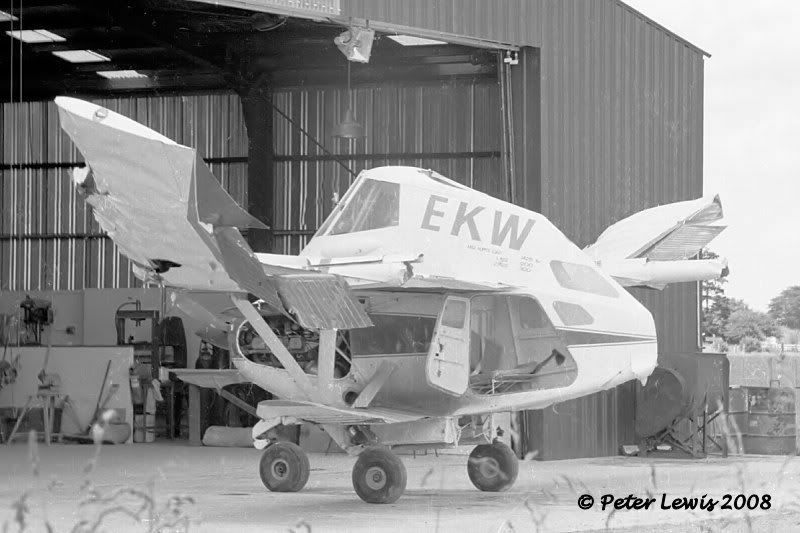 Became VH-JSO with D Jones, Kempton, Tas May 1988. ZK-DVP c/n G681 Registered to Transfield (NZ) Ltd., Auckland December 1976. Operator? Great to see pictures of ZK-DVN and her history. Unfortunately, she only had a couple of years of service in Tasmania before a prop failure caused her to be written off. Fortunately my old man walked away from this one, credit in some ways to Luigi's unorthodox design. jones still use the airtruk today. I bet he needed a stiff drink or 20 after that incident. At least it proves the crashworthyness of Pellarini's design. Have the pilot safe in a rugged capsule while the energy of the crash is dissipated in destroying the wings, tail, undercarriage and other unnecessary bits. 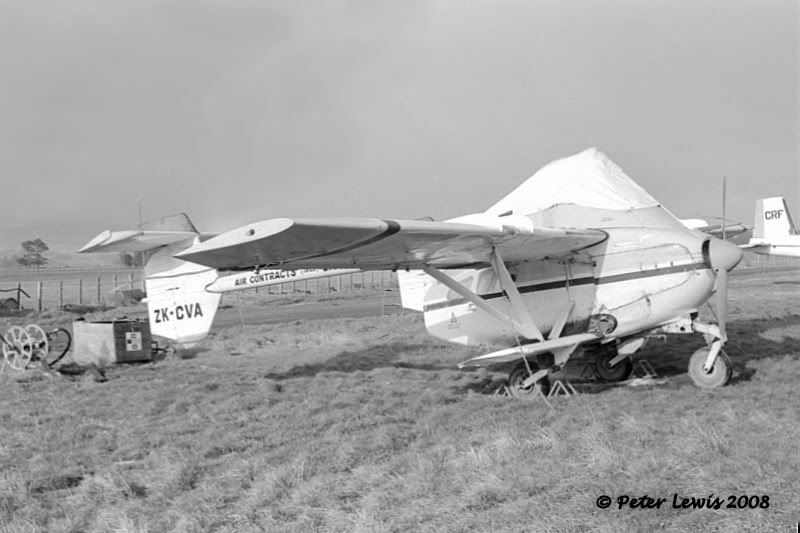 The PL-11 ZK-BPV was similarly wrapped up and the pilot survived. PL-12-T320 ZK-EKW c/n G785 Registered to Transfield (NZ) Ltd., Auckland January 1978, operated by Barr Bros Ltd. Converted to to PL-12 31Jul71980. 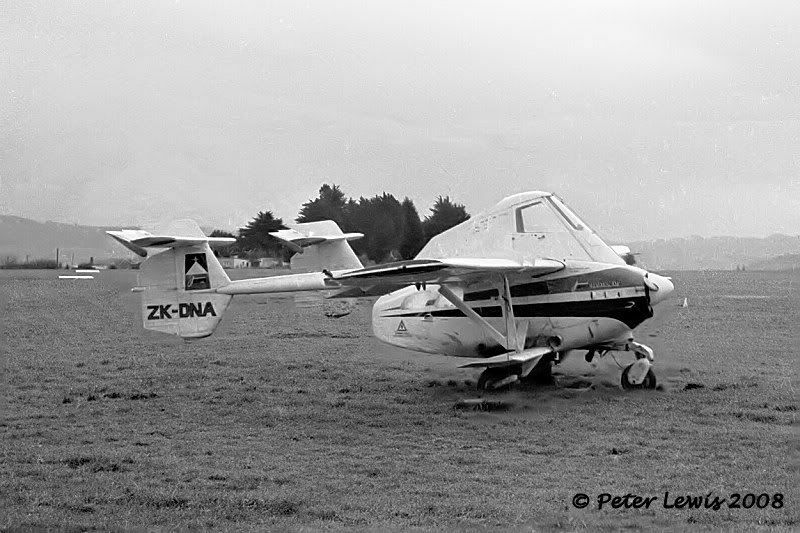 ZK-ELL c/n 886 Registered to Transfield (NZ) Ltd., Auckland March 1979, sold to Barr Bros Ltd. later the same month. 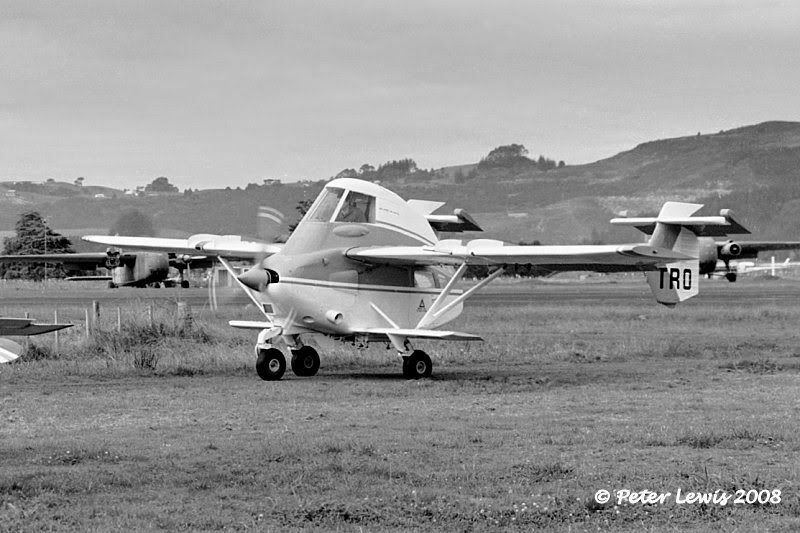 Sold to Beard Aviation Ltd., Kaitaia March 1985, WFU at Ardmore 1988. To Hamish Ross' aviation museum at Rotorua. Reported exported to Australia at a later date. 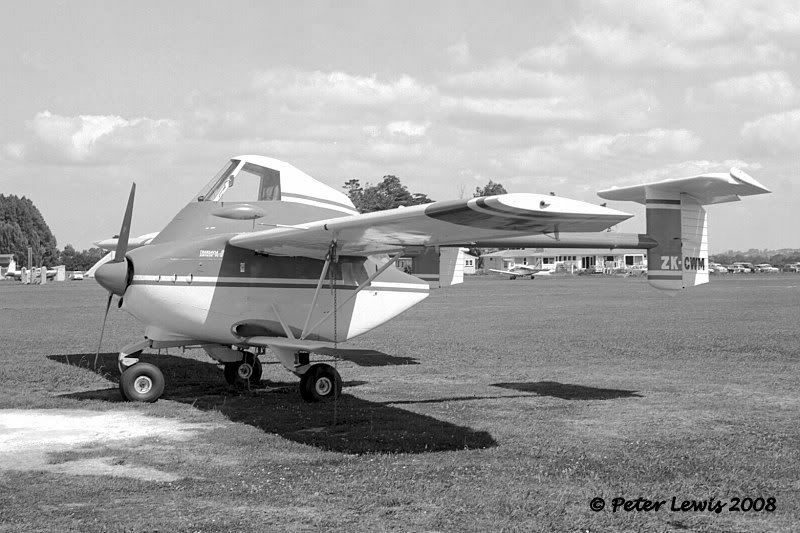 PL-12/T300A Airtruk ZK-TRT c/n G890 ex VH-UJA Transfield (NSW) Pty.Ltd., North Sydney, NSW from February 1979 to July 1983. 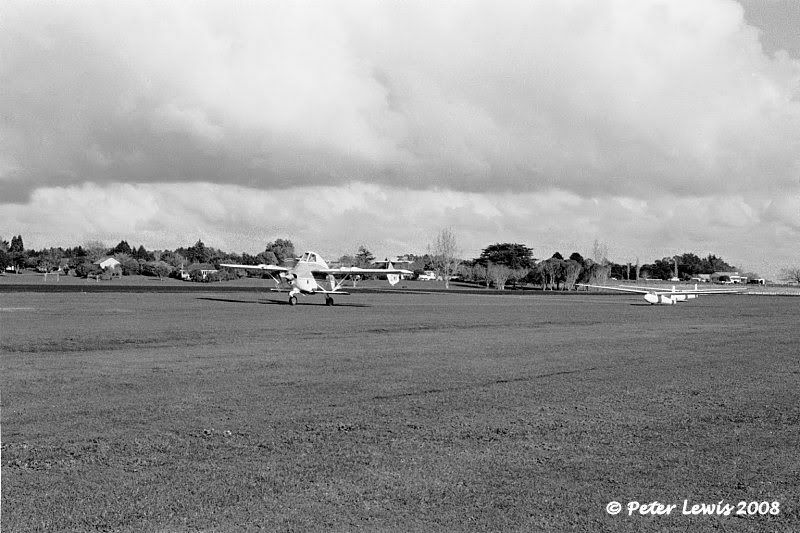 To Transfield (NZ) Ltd., Auckland July 1983, lease to Aerial Agriculture Ltd., Te Kowhai. ZK-ERO c/n G998 ex ZK-DVN c/n G467 rebuilt, but MOT insisted on original registration. Restored as ZK-DVN (see above). 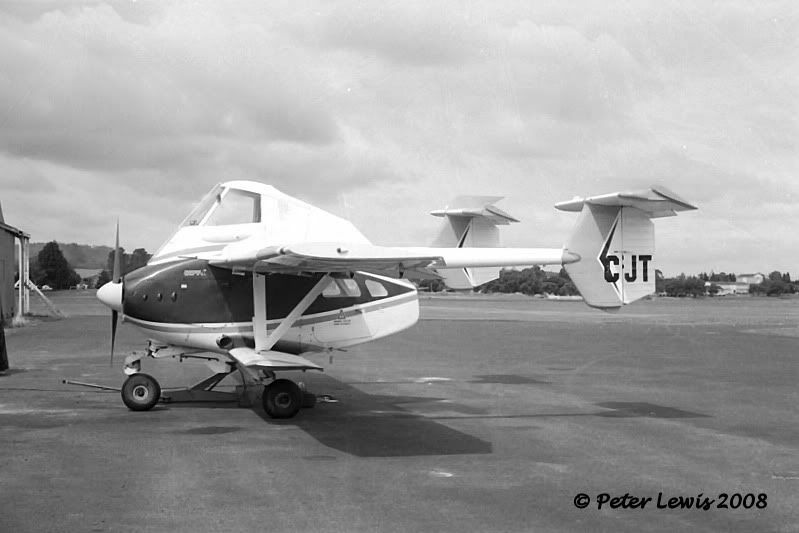 ZK-CJU c/n 1239 Registered Transfield (NZ) Ltd., Auckland February 1973. Sold Barr Bros Ltd., Auckland July 1973. WFU- stored Ardmore. Reg canc 23Jan91. Sold A H Ruddenjlau, Waimate and restored to register 8May2009. ZK-CJS c/n 1240 This Airtruk was registered to Transfield (NZ) Ltd., Auckland in November 1972 and sold to Air Contracts (1969) Ltd. in December. 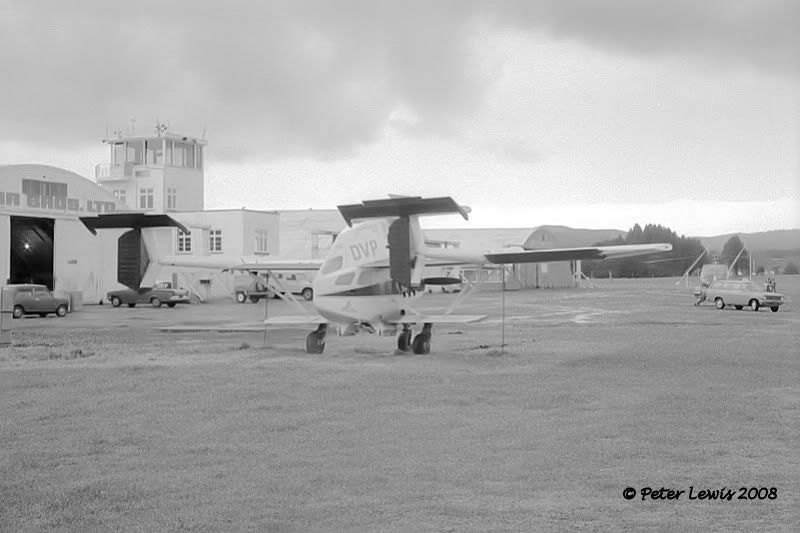 With the merger at Masterton, it was transferred to the Air Services (1979) Ltd. name in August 1980. Sold to R D Potts, Richmond, Nelson in October 1984, then to E C Andrews, Hamilton in February 1988. ZK-CJS left NZ 5March1988 for Australia, where it became VH-IJS with Hazair Agricultural Services Pty.Ltd., Albury, NSW the same month. It has since crashed, and the Australian registration was cancelled 16January1991. 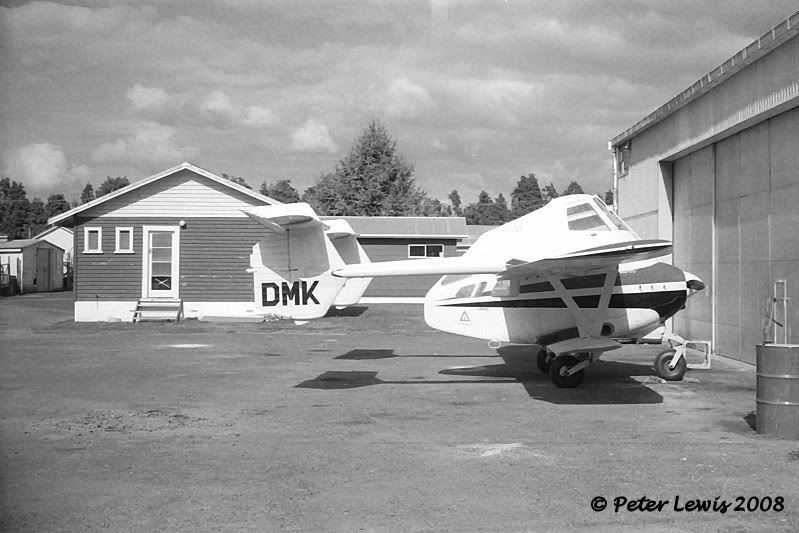 ZK-DMK c/n 1249 Registered to Transfield (NZ) Ltd., Auckland in April 1973 and sold to James Aviation Ltd., Hamilton in June. 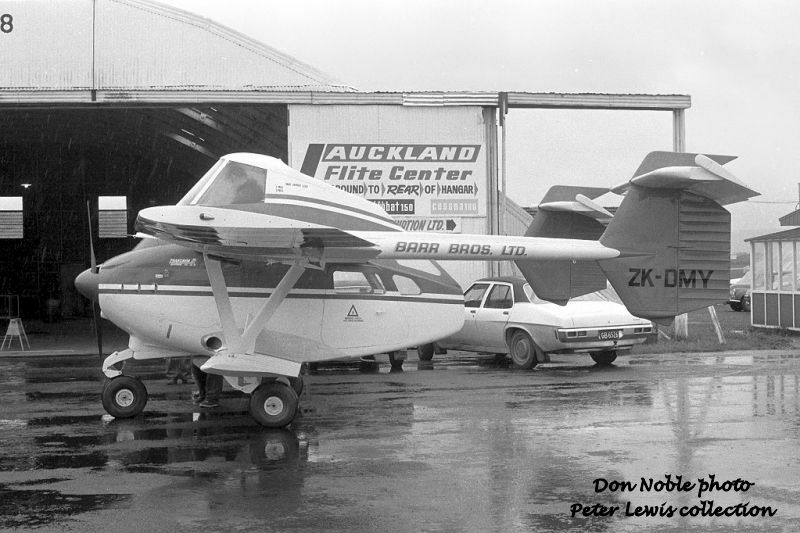 Ownership was transferred to NZ Aerospace Industries Ltd., Hamilton in January 1978 (possibly as a trade-in?) 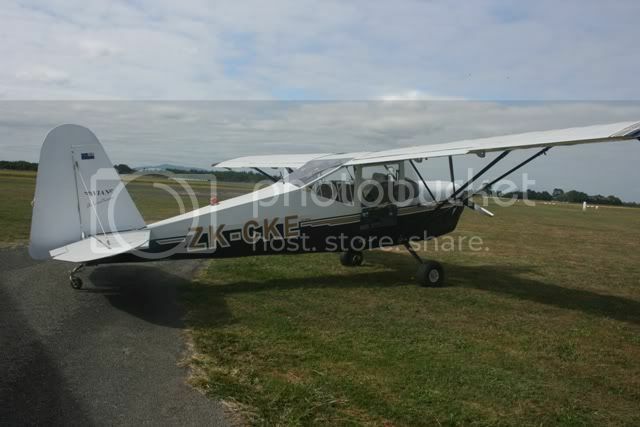 and they sold it to Farmers Aviation Ltd., Hawera in October. ZK-TRN c/n H0101 (I have no idea what this c/n means!) Registered in Australia as VH-KZN to Transfield (NSW) Pty.Ltd., North Sydney, NSW from 25th to 31st March 1981. Ferry flight as VH-KZN, arr Akl 29Mar81. 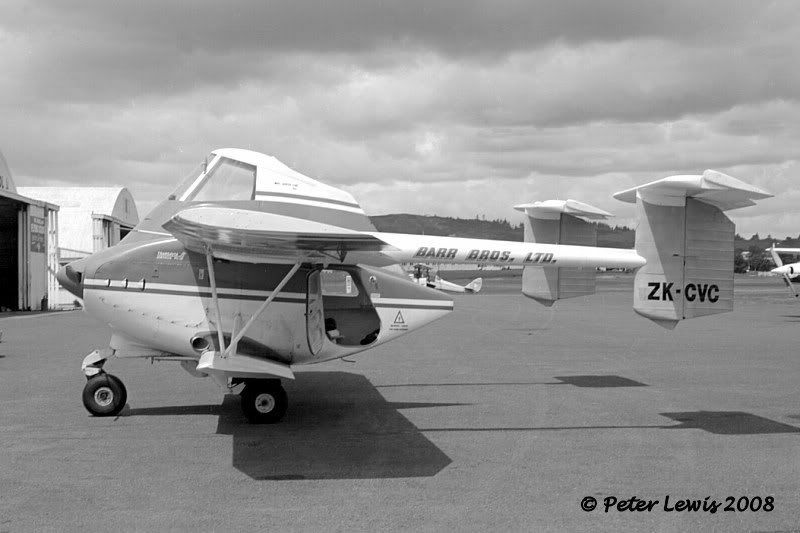 Registered to Transfiekd (NZ) Ltd April 1981, sold to Ross Aviation Ltd., Rotorua June 1982. 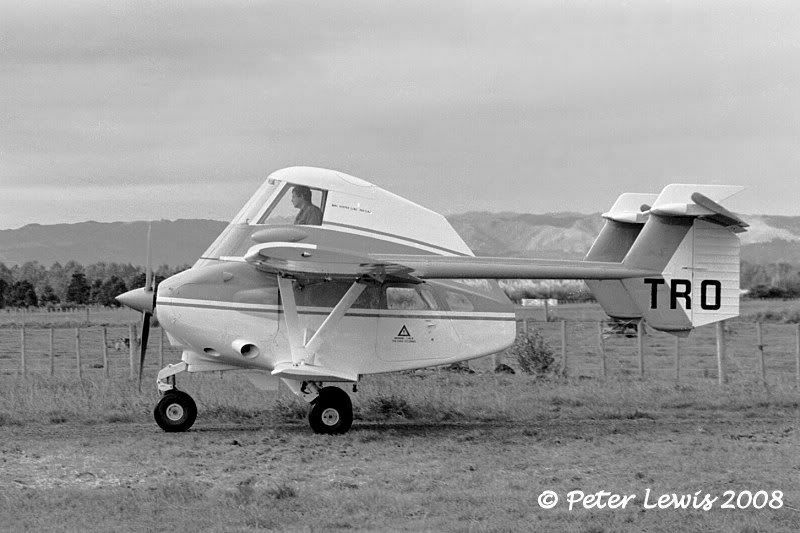 PL-12/T300A-1 Skyfarmer ZK-TRO c/n NZ108 Registered to Transfield (NZ) Ltd., Auckland May 1982, leased to Kaikoura Agricultural Co-op.